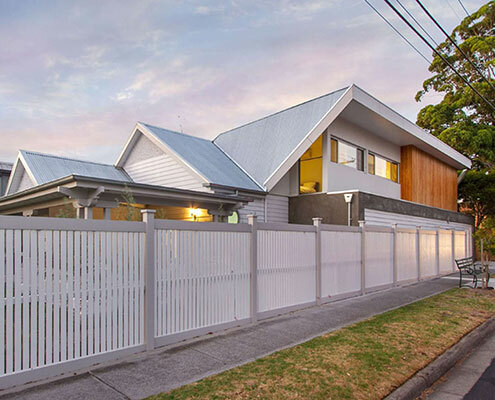 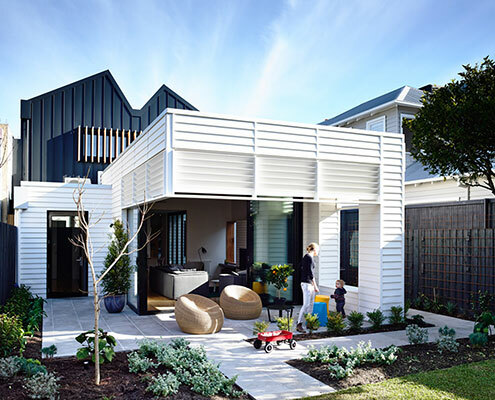 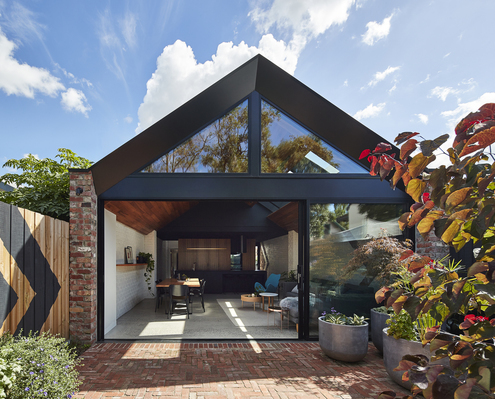 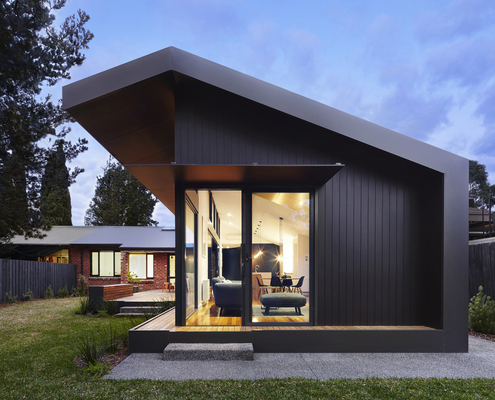 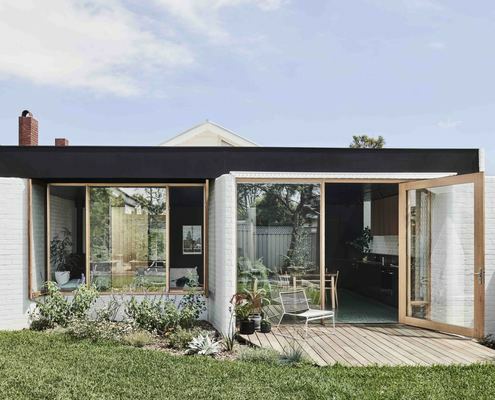 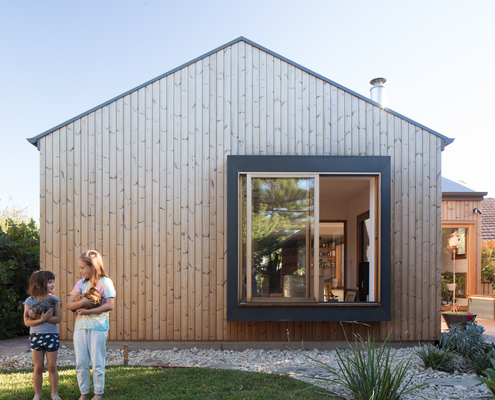 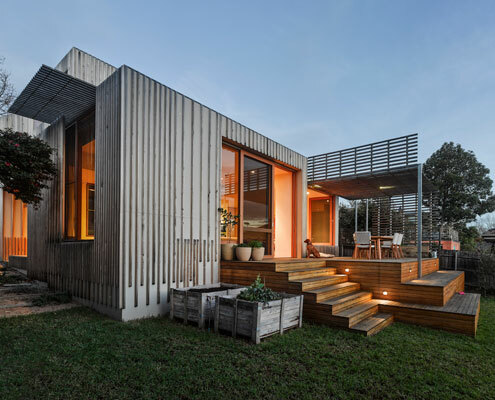 Paling Fence House by NASA Paling Fence House: Fitting a Home in the Backyard Proves a Challenge Paling Fence House by NASA (National Architecture Space Agency) manages to fit a modern and spacious family home into an Australian suburban backyard. 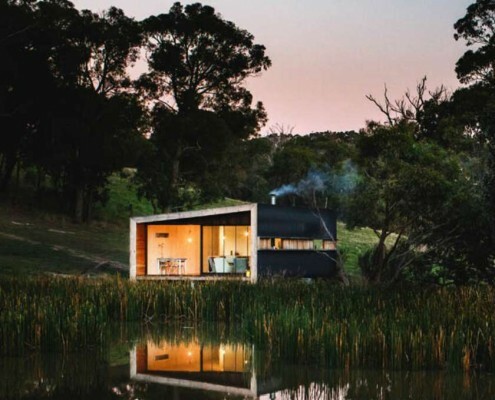 Pump House by Branch Studio Architects Pump House: A Compact Off-Grid Home for Simple Living Pump House is a compact, off-grid home for simple living. 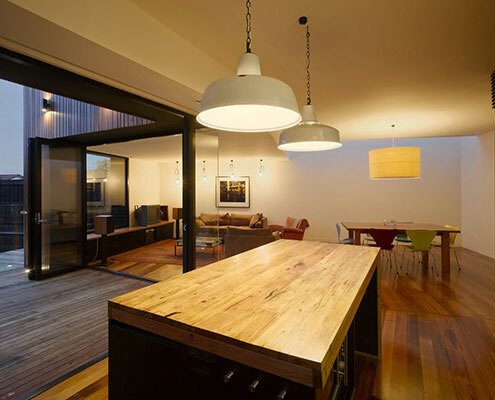 Owners and guests can enjoy a quiet night, a cup of tea and quality time with their horse, George. 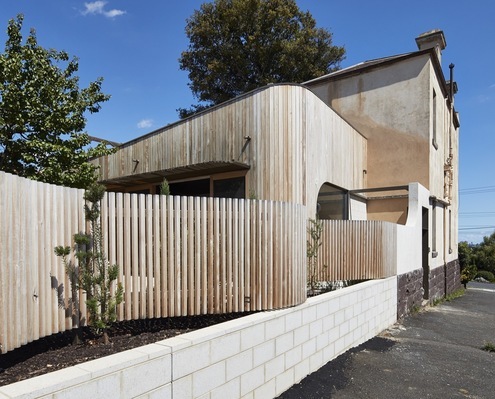 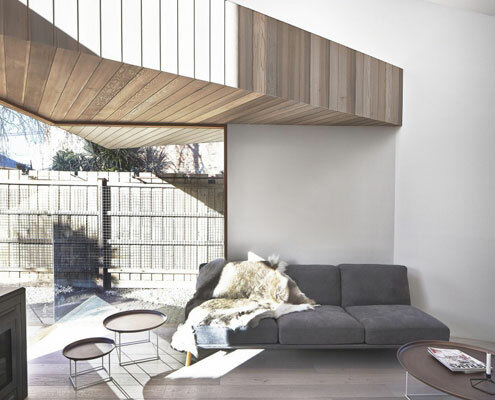 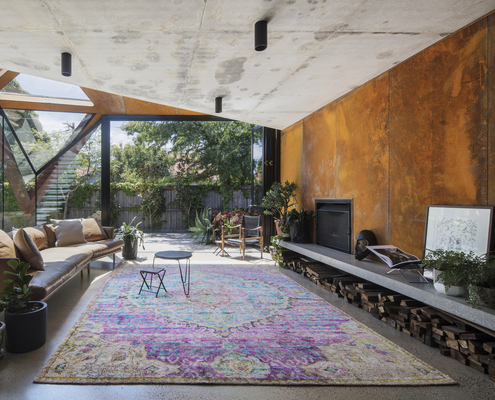 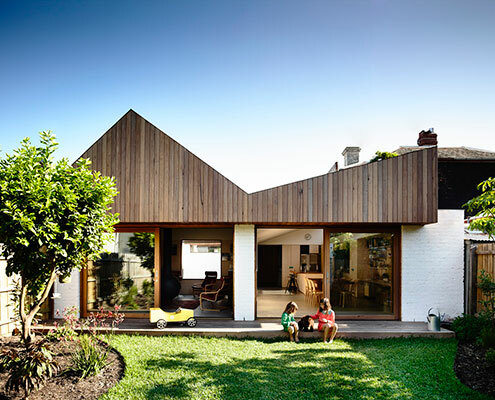 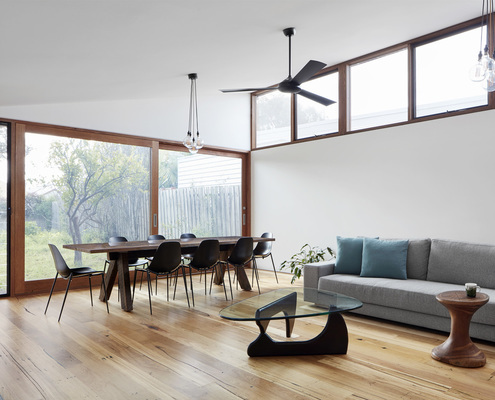 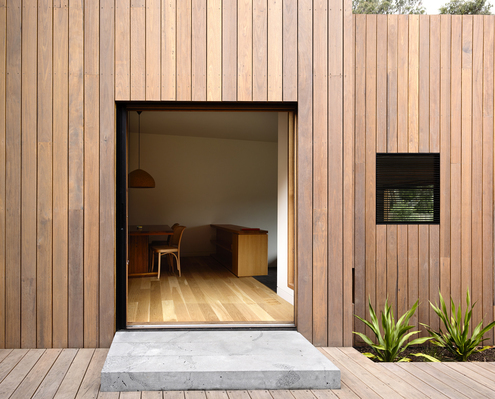 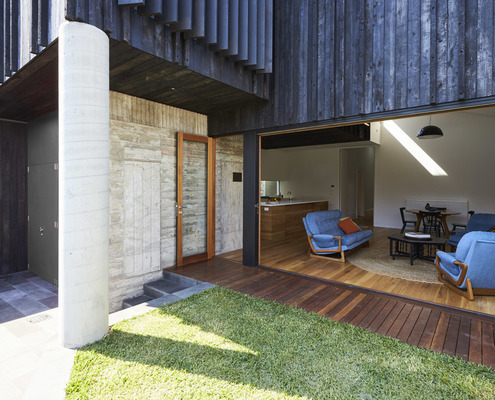 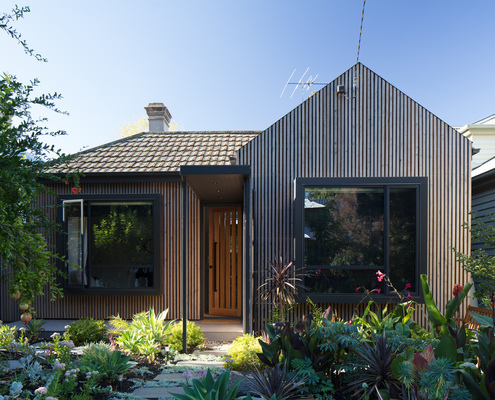 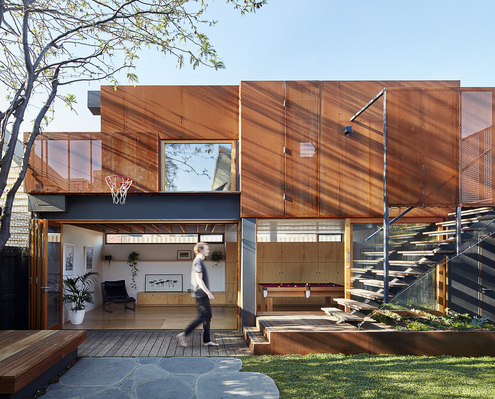 Jack's House by FMD Architects Jack's House: A House Bursting at the Seams Gets a New Timber 'Gusset A moderate extension creates a rich space and leaves a decent-sized backyard. 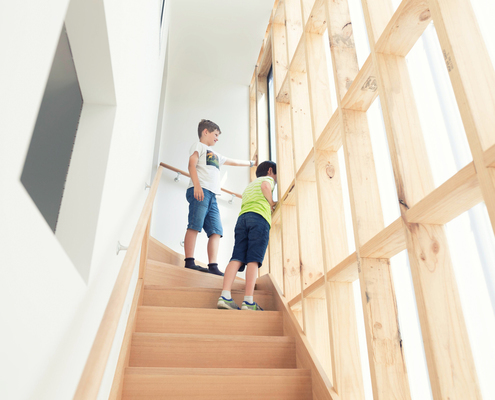 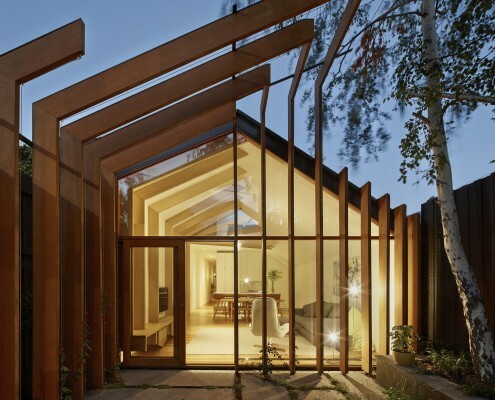 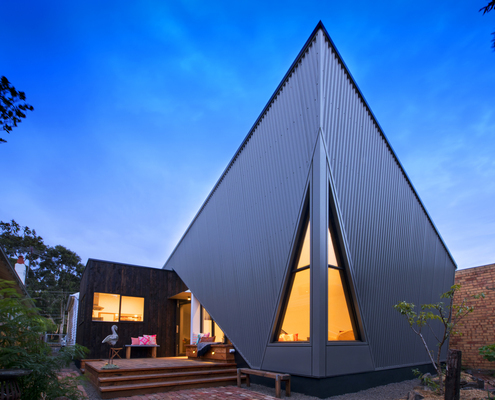 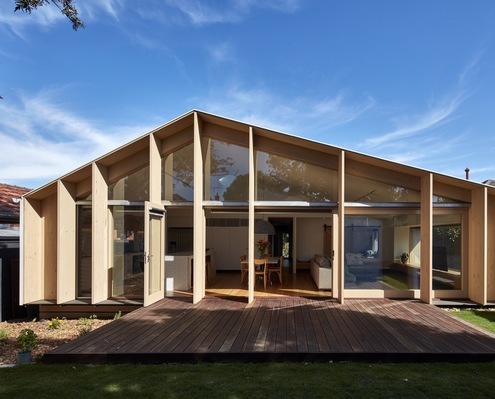 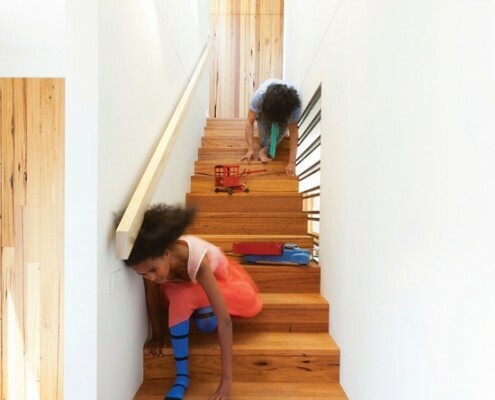 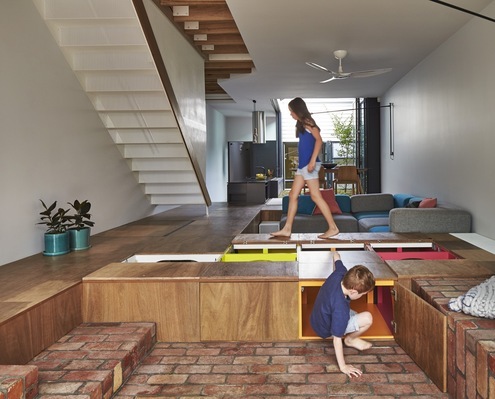 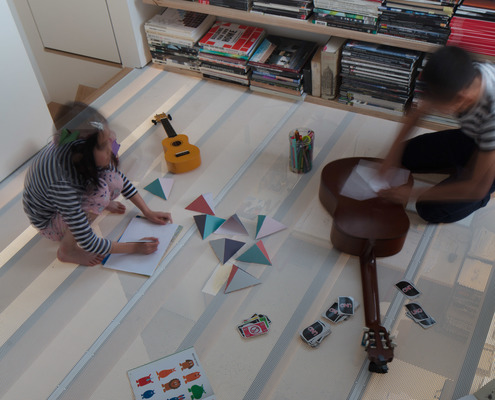 Jack's House is a timber 'gusset' that will serve the family into the future. 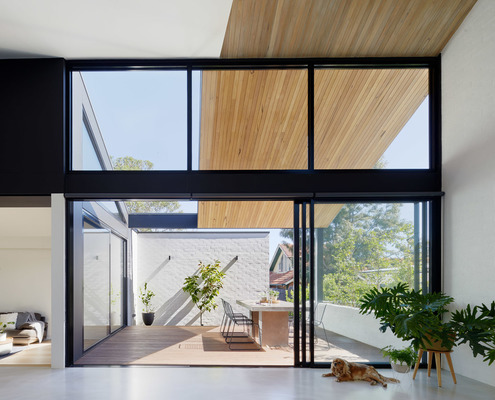 Beachcroft Orth Residence by Andrew Maynard Architects Beachcroft Orth Residence: Openable Walls Let the Outdoors In At Beachcroft Orth Residence, screens and glazed garage doors allow internal spaces to spill into the outdoors. 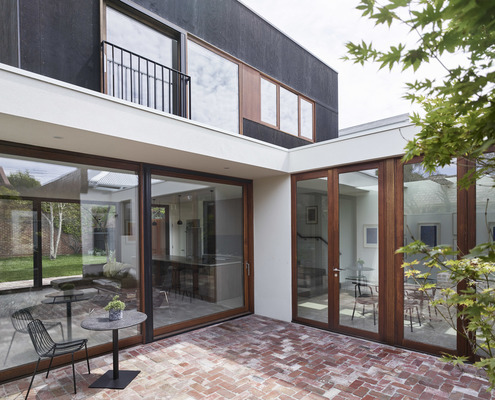 Baker Street House by FGR Architects Baker Street House Maximises a Tight Site With Glass and Double Height Spaces A tight inner-city site is transformed with double height spaces and floor-to-ceiling, seamlessly connecting the indoors and outdoors. 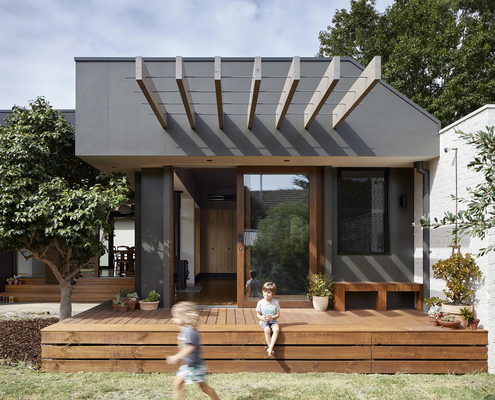 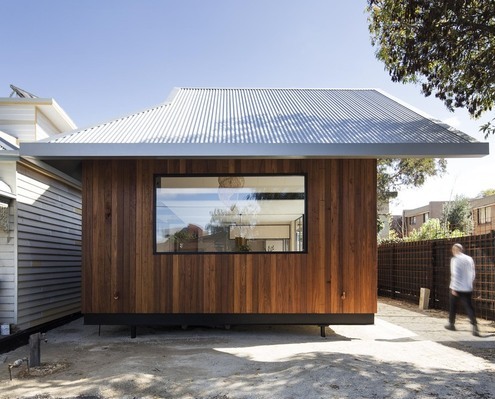 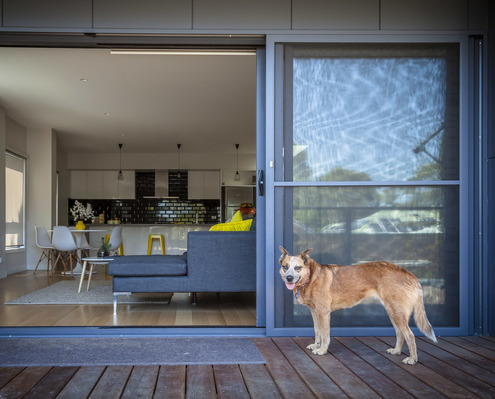 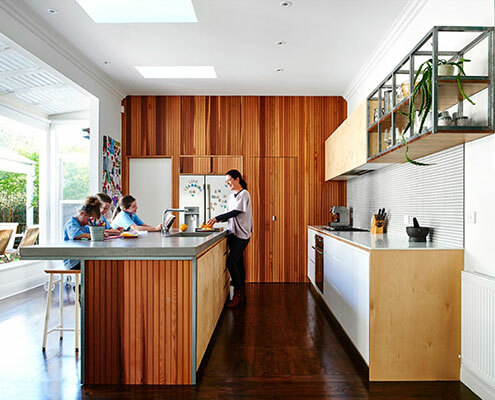 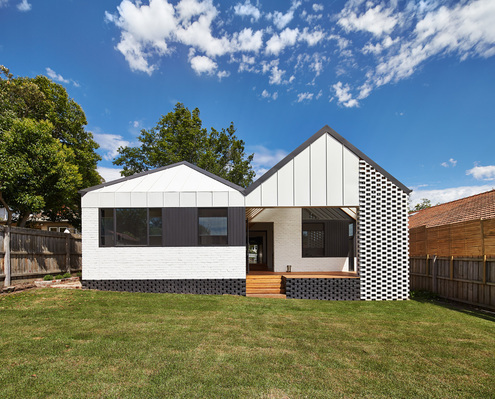 Prefab Hawthorn Studio by Third Skin A Prefab Detached Studio in Hawthorn Adds Limitless Flexibility Parents' retreat, teen hideaway, granny flat or rental earner — the function of this self contained extension can change over time. 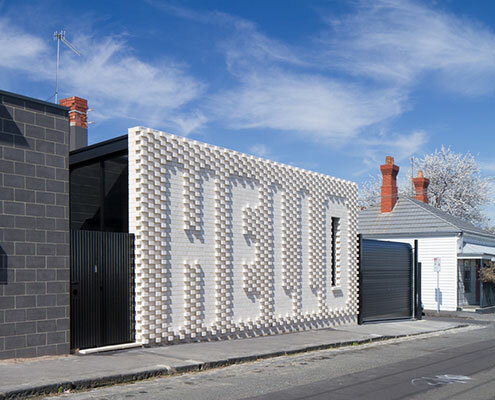 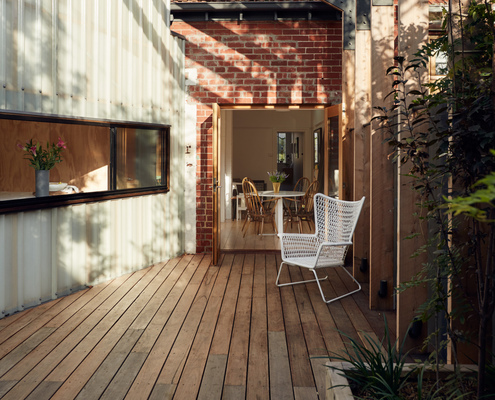 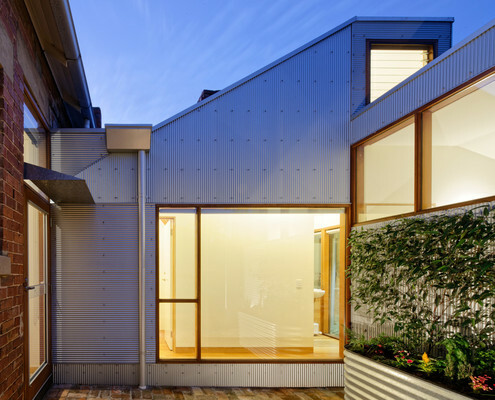 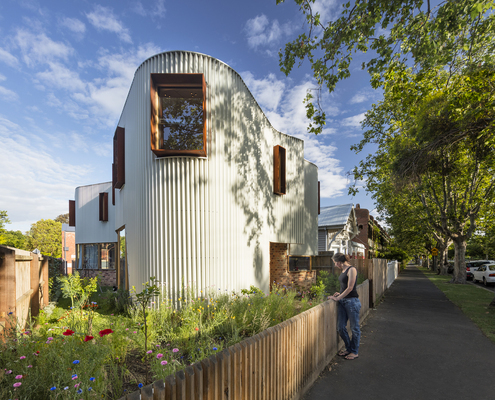 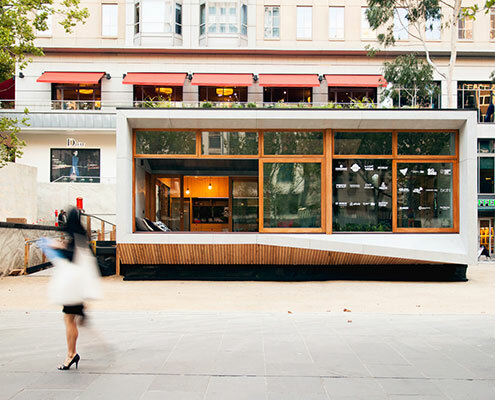 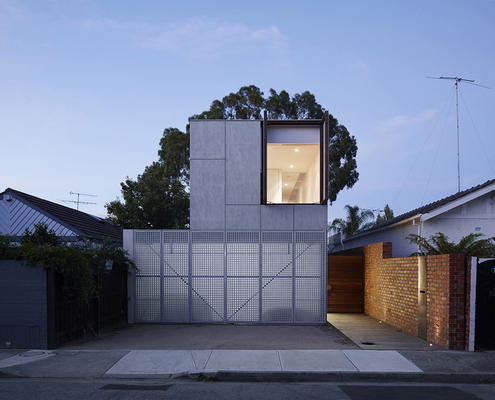 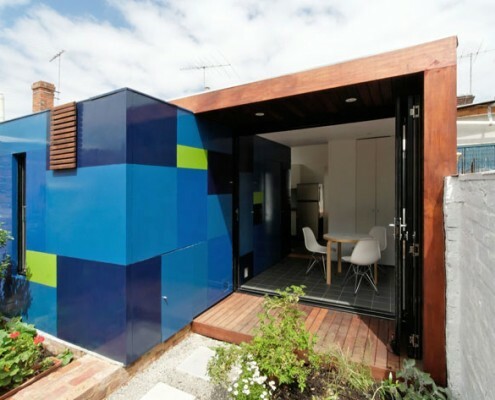 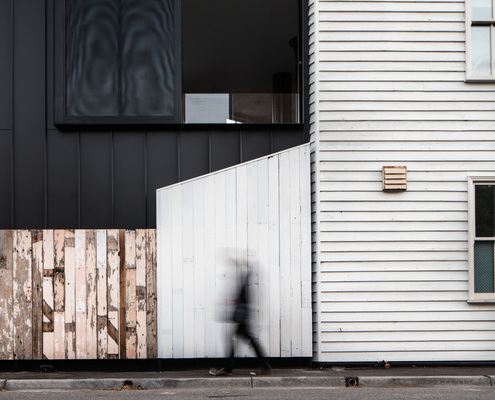 Prefab Collingwood House by ArchiBlox Prefab Collingwood House Effortlessly Fits Into a Narrow Urban Site The prefabricated Collingwood House fits easily into its tight urban site, without feeling squeezed for space. 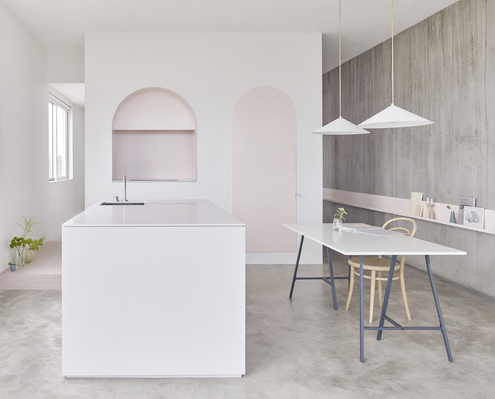 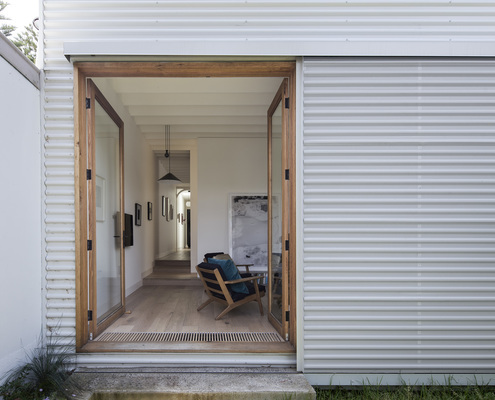 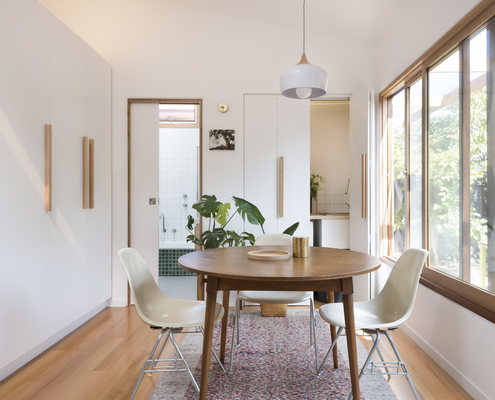 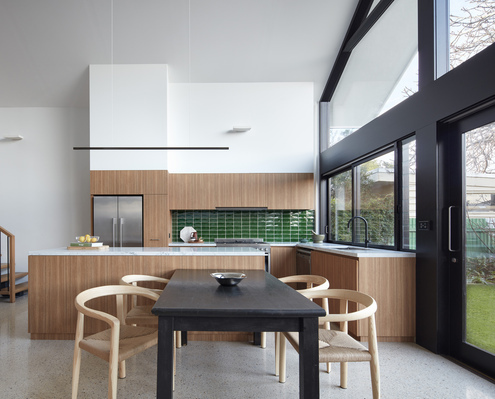 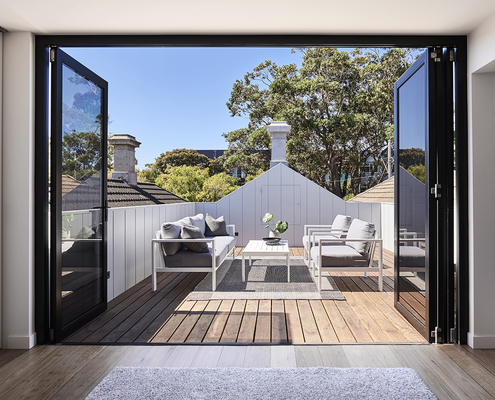 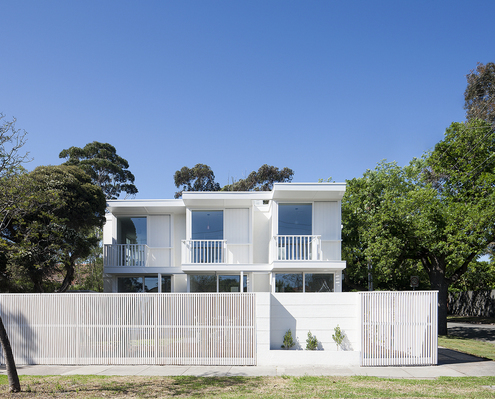 Middle Park House by Mitsuori Architects Daily Life Feels More Like a Holiday at Middle Park House Renovating an inner bayside family home to be flexible as the family grows and subtly remind the owners of time spent on beach holidays. 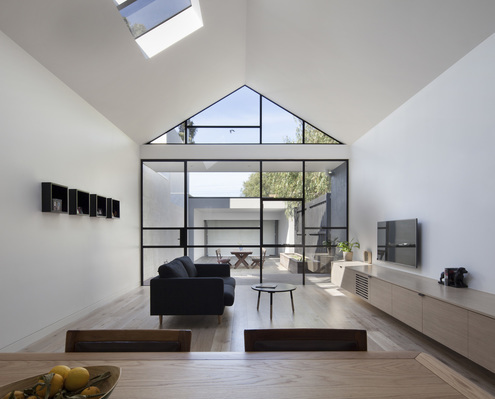 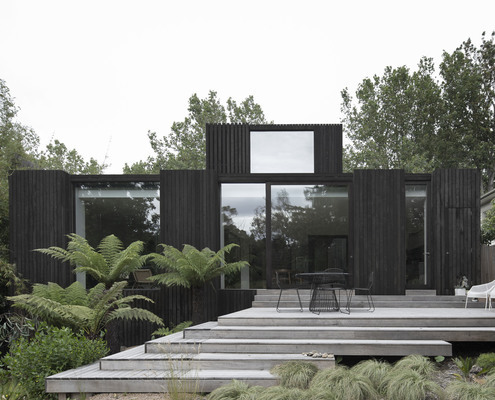 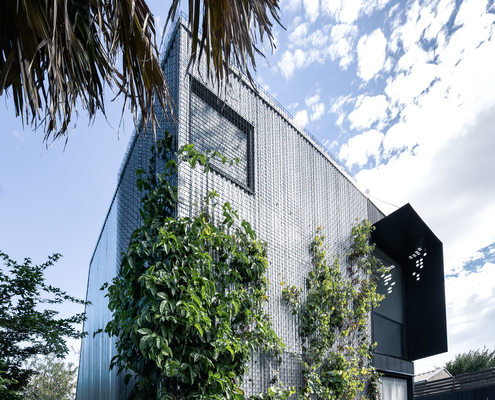 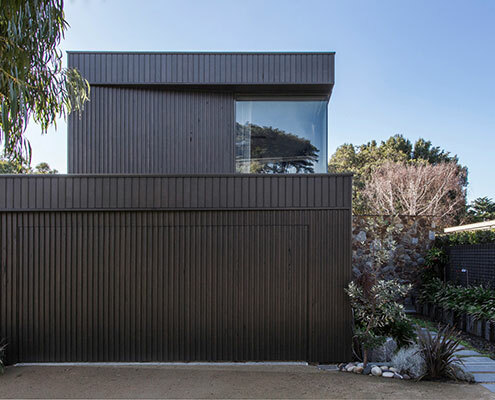 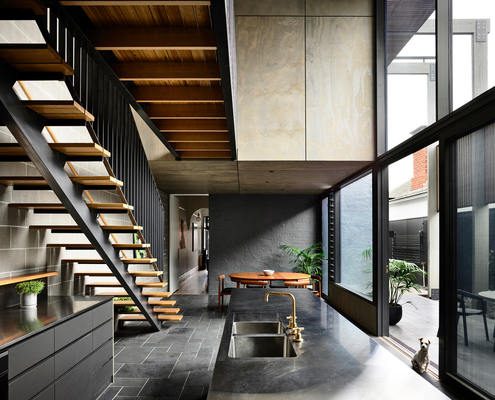 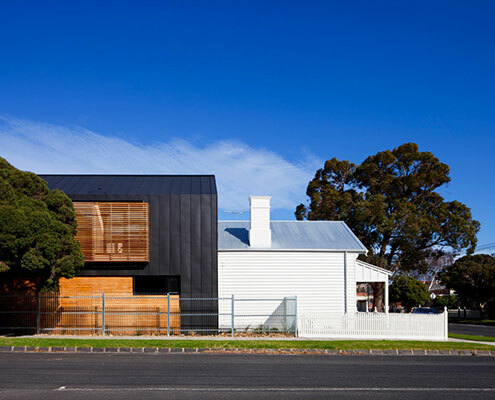 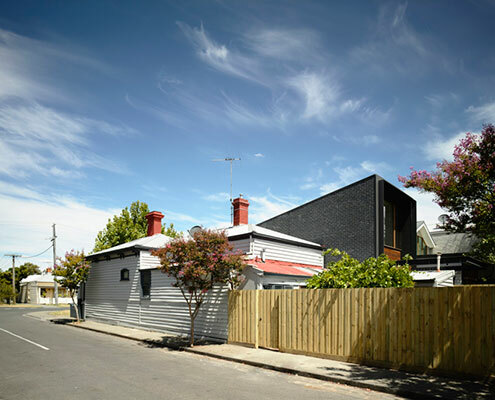 Black Rock House by Jost Architects Black Rock House Uses Creative Thinking to Overcome Challenges Black Rock House successfully meshes elements of old and new to create a cohesive and comfortable family home. 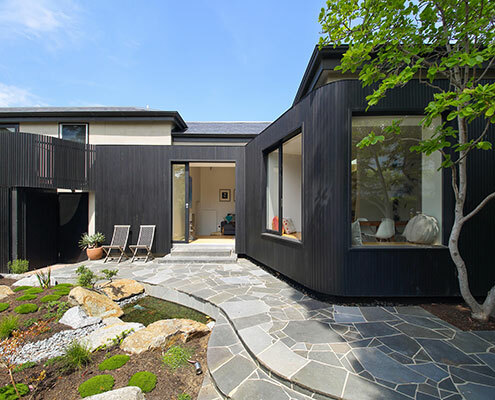 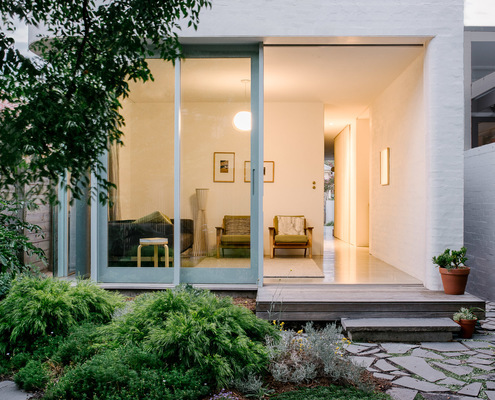 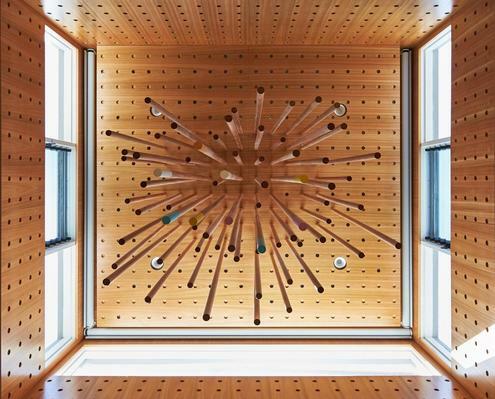 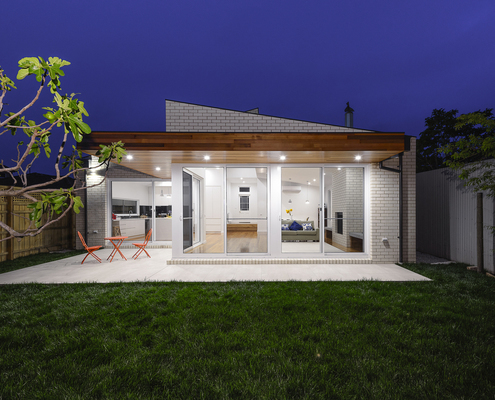 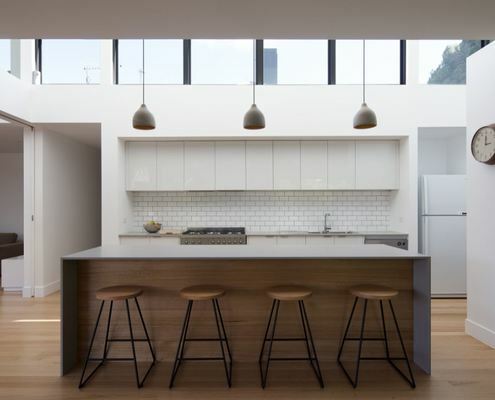 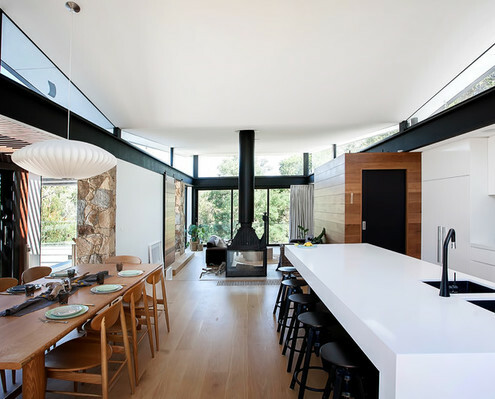 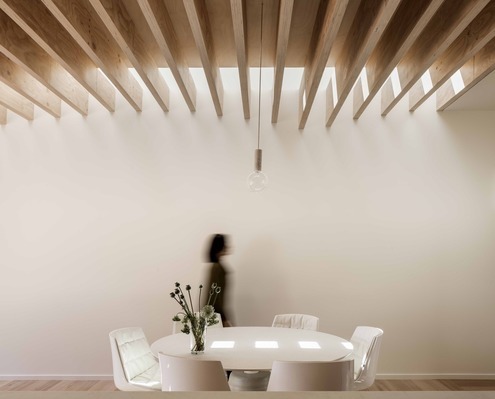 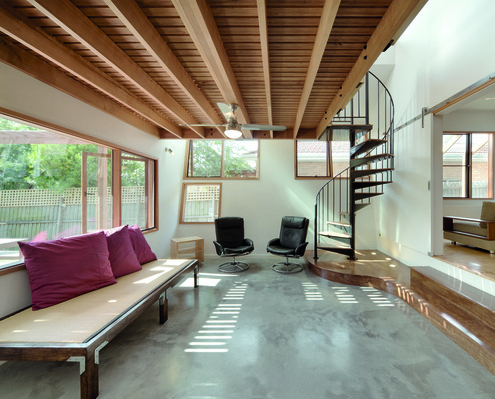 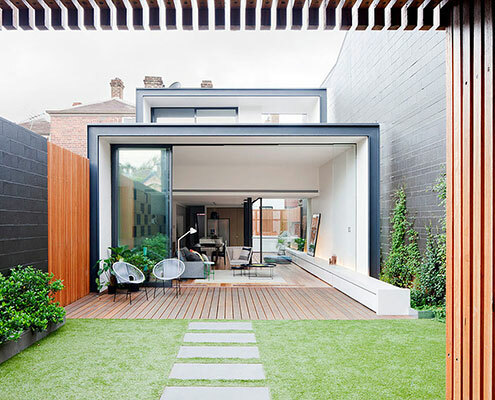 The Avenue by Neil Architecture This Couple Built Two Houses. 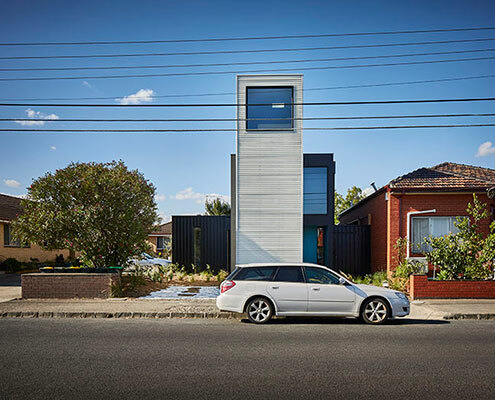 One to Live In and One to Sell... 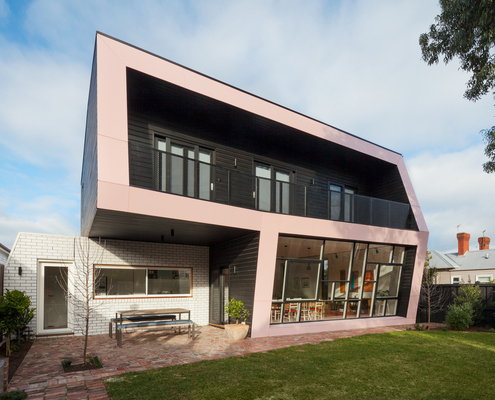 This duplex development isn't what we have come to expect. 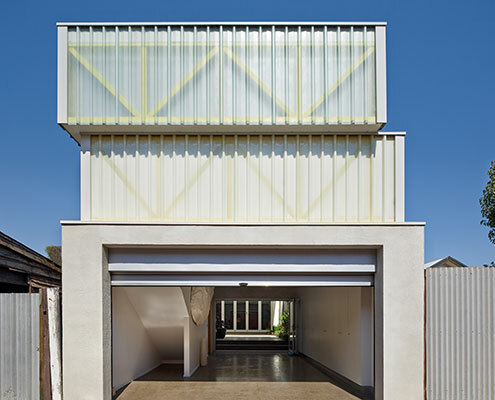 It actively avoids placing garages on the street as an homage to the car. 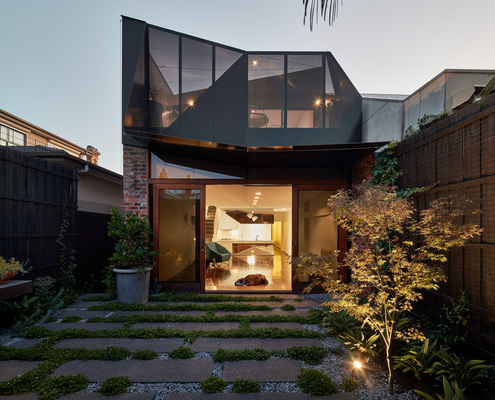 Journey House by Nic Owen Architects A House Where the Journey is More Interesting than the Destination Old and new are connected by a black tunnel with no end immediately in sight. 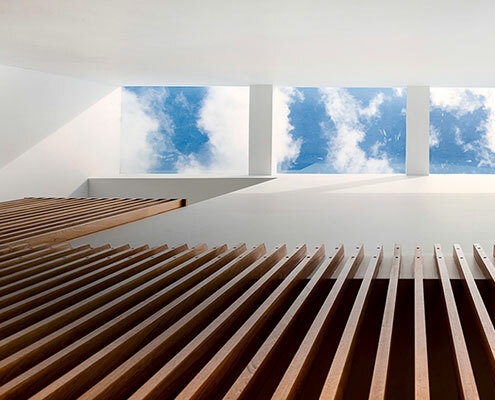 But there is a light-filled end to this tunnel. 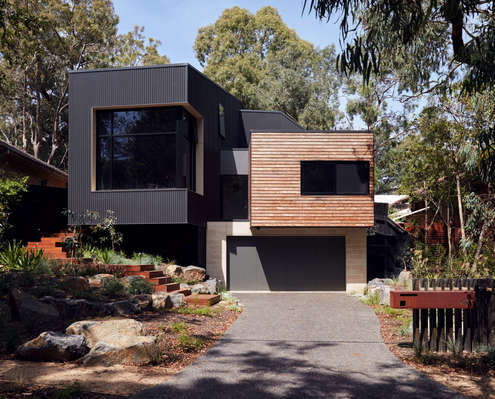 Blackburn House by ArchiBlox Home Among the Gum Trees Makes the Most of a Sloped Site This family home is nestled amongst the gums, cantilevering over the sloped site so it feels more like a treehouse than a regular home. 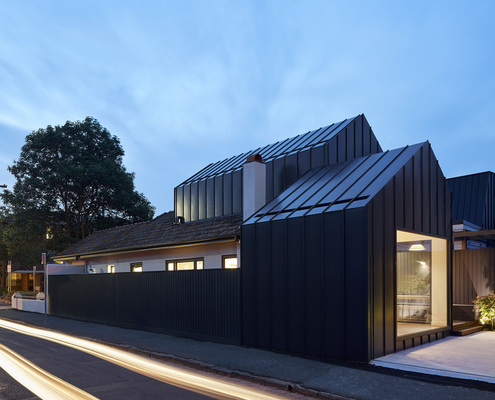 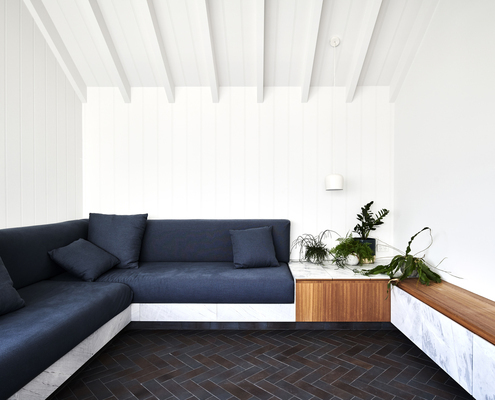 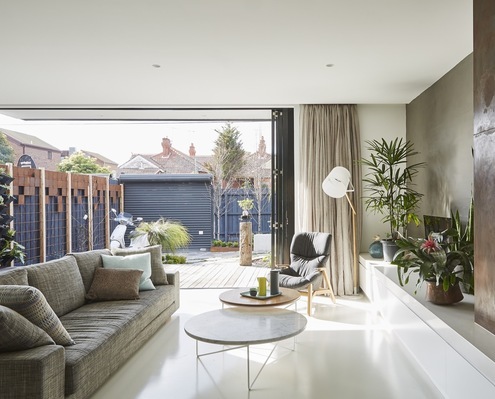 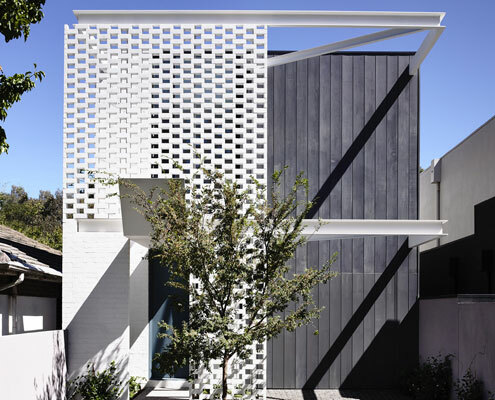 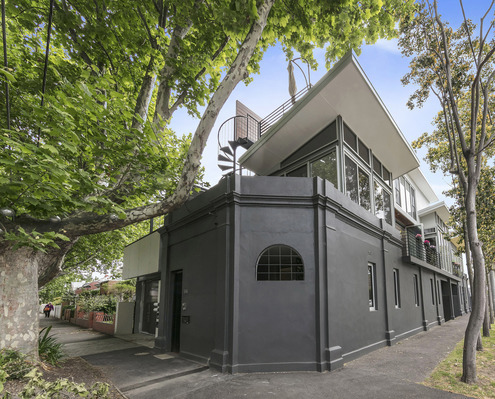 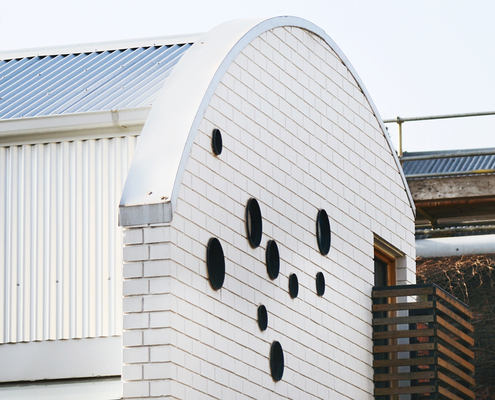 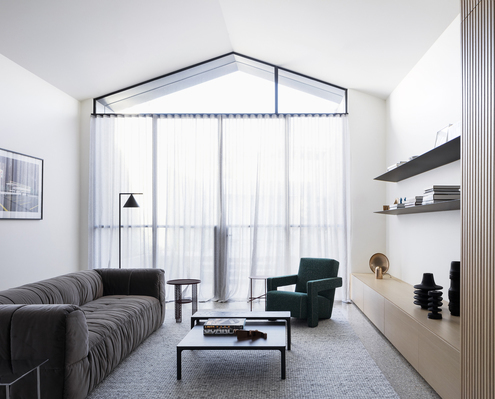 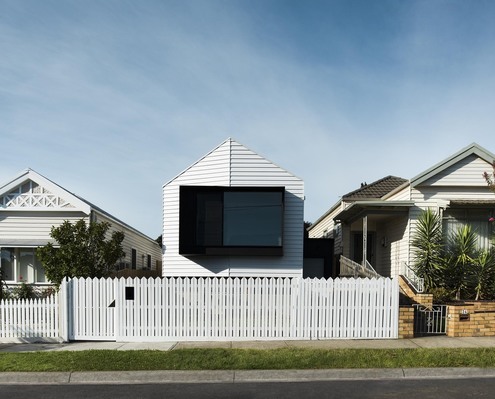 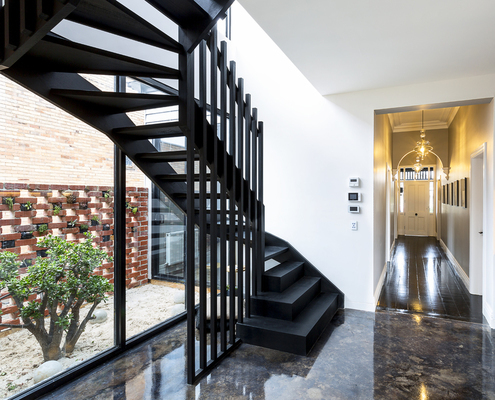 The Corner House by POLYstudio Black Is the New White at This Striking 'House in the Round' Addition At this highly visible corner block, the architects have designed a black extension to contrast with the white Edwardian original. 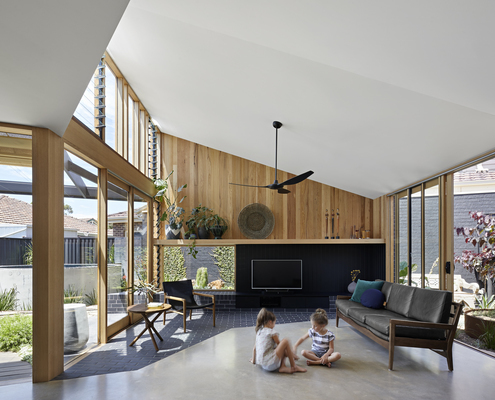 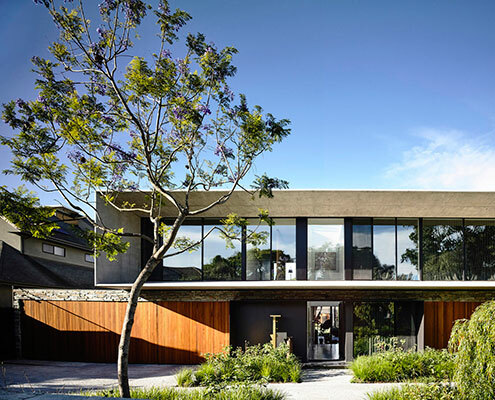 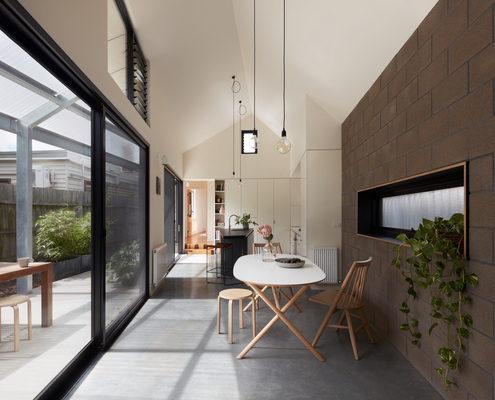 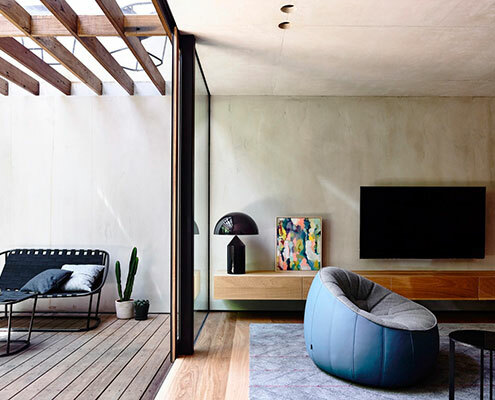 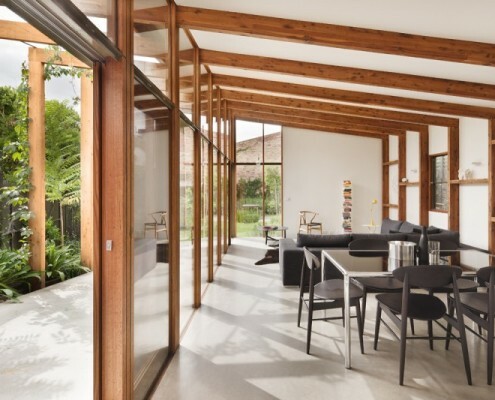 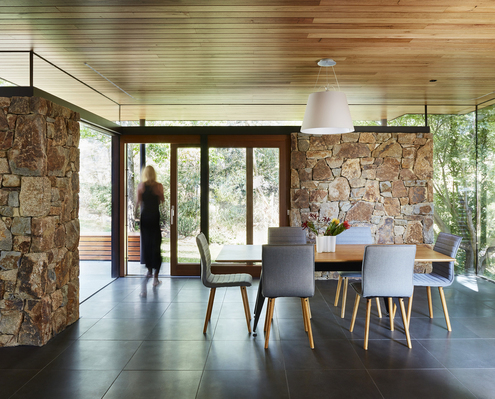 Dancing House by Craig Tan Architects Step Inside a Home Inspired by Tranquil, Forested Clearings Arranged around three courtyards, this new open-plan extension is a delightful counterpoint to the existing Californian Bungalow. 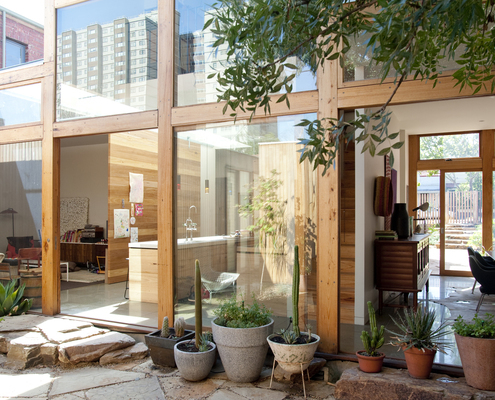 Green House by Zen Architects Urban Green House Creates a Sunny, Healthy, Happy, Inner-City Home Application of passive design principles creates a living, breathing, sustainable space that is a pleasure to inhabit. 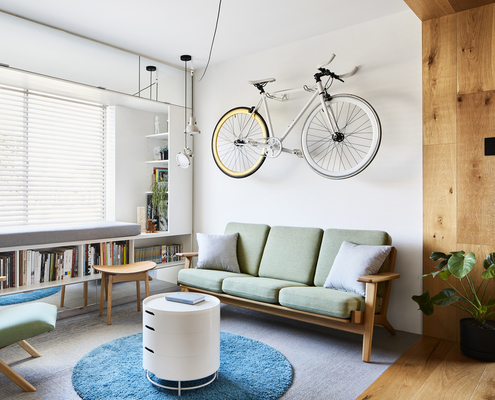 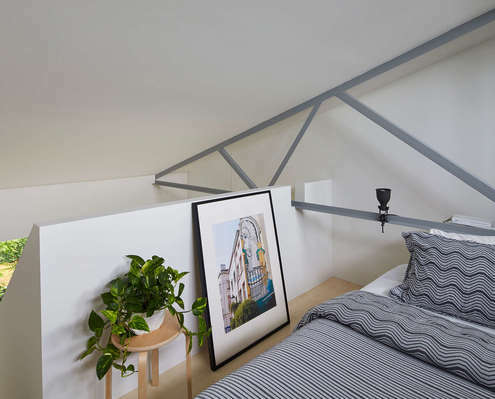 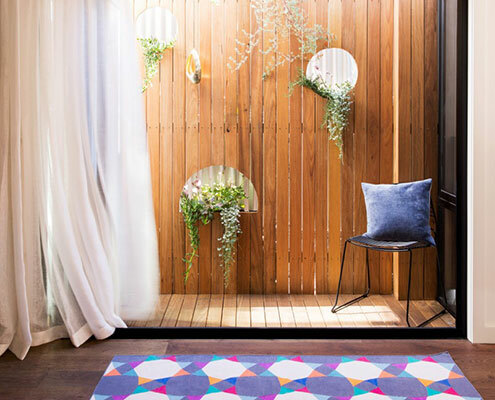 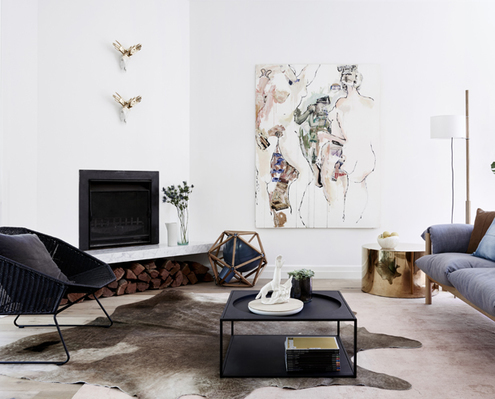 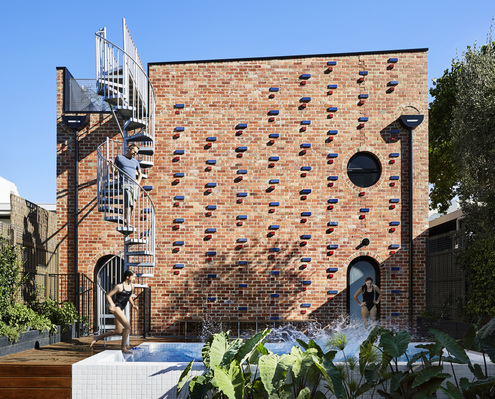 Lt Collins Apartment by de.arch This Fun-Filled Apartment Renovation Has a Rock Climbing Wall Armed with a fun and adventurous brief, the architects of this apartment reno created a family home with surprises around every corner. 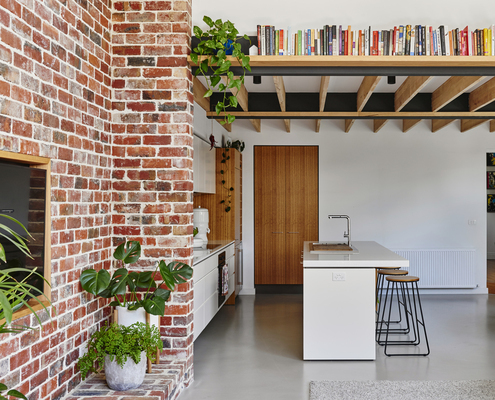 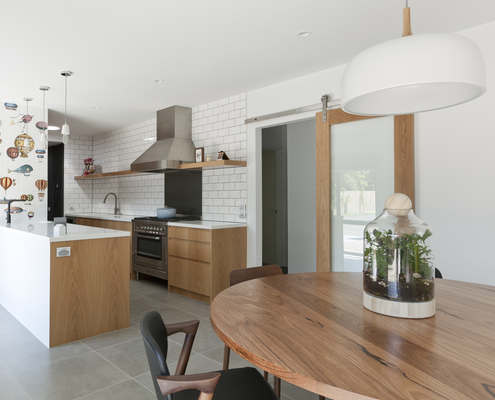 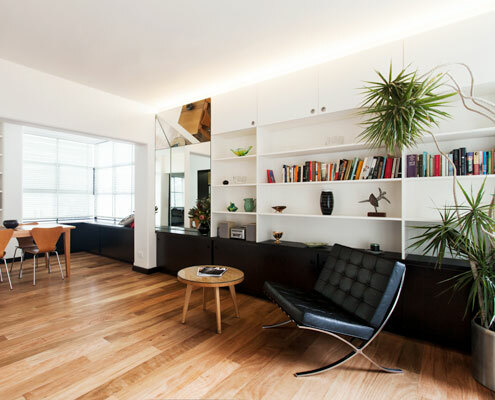 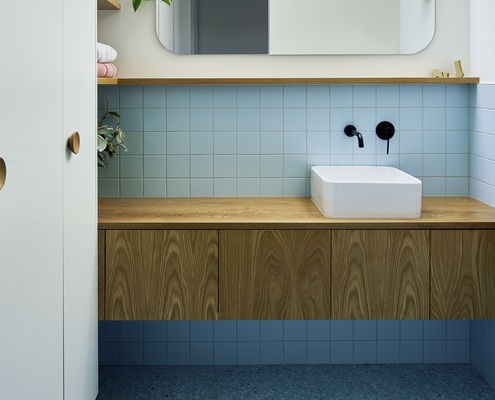 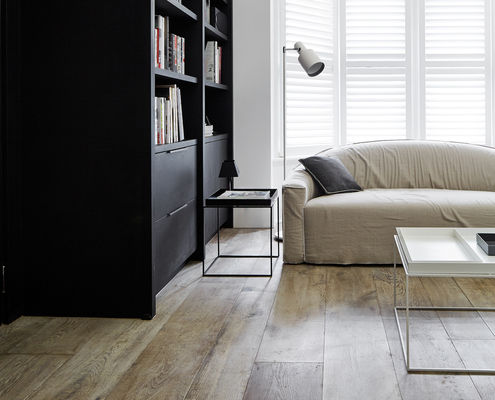 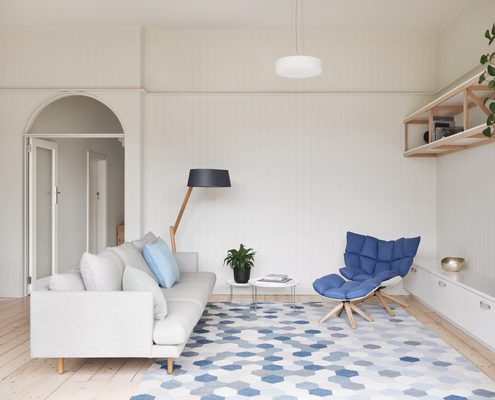 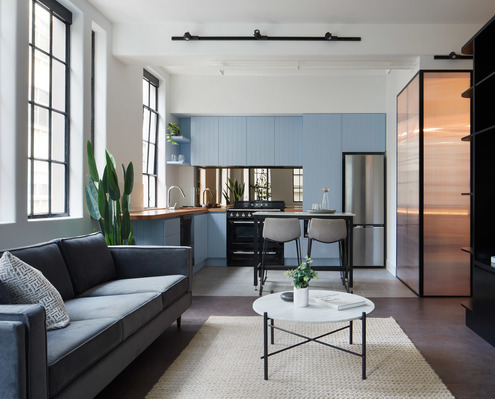 Villa Unit Reinvigorate by SWG Studio Removing Internal Walls Gives This Home a Modern Open-Plan Vibe By removing the internal walls of this unit and incorporating plenty of built-in joinery, it feels more spacious and modern. 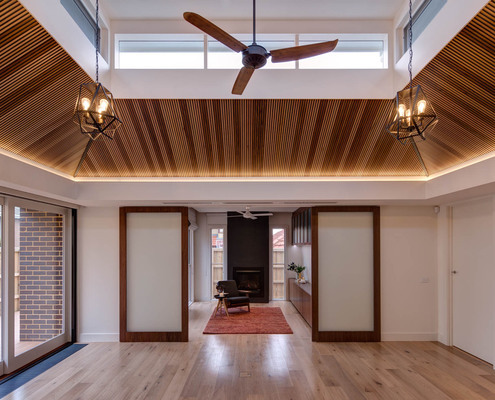 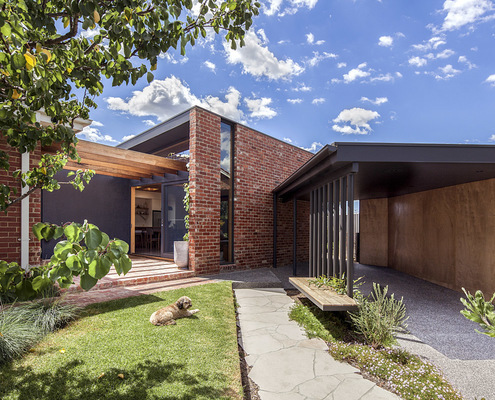 Kingsville Residence by A Modern Addition Tucked Under an Extension of the Original Roofline By working with the original roofline of this Federation home, the designer created a light-filled and spacious addition. 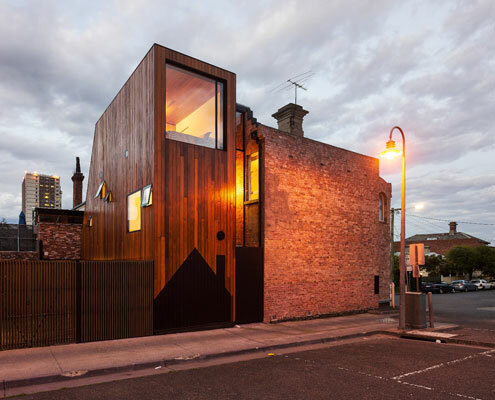 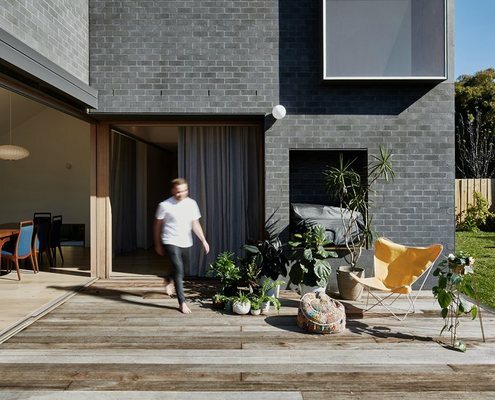 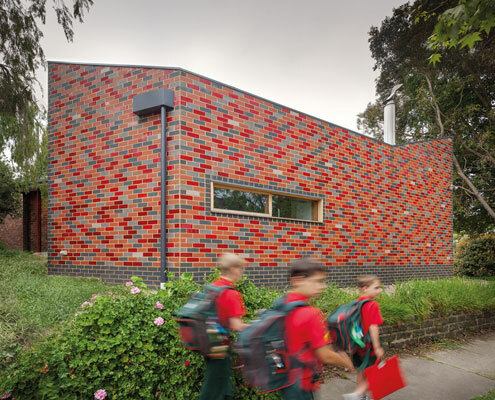 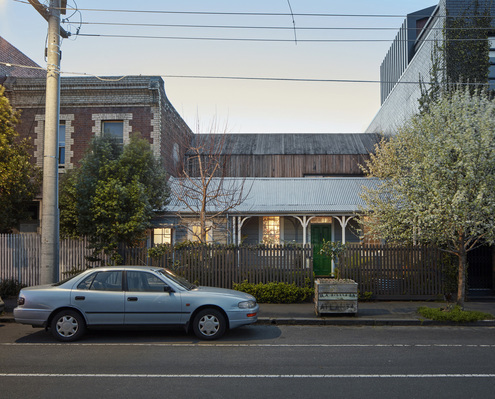 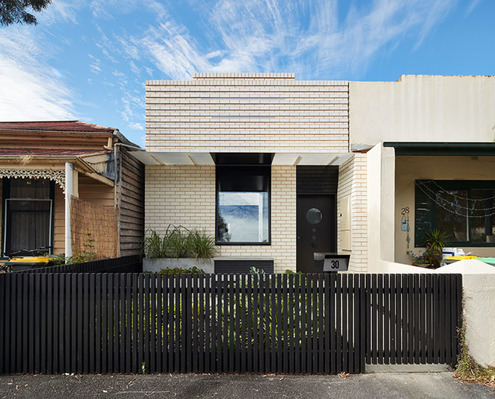 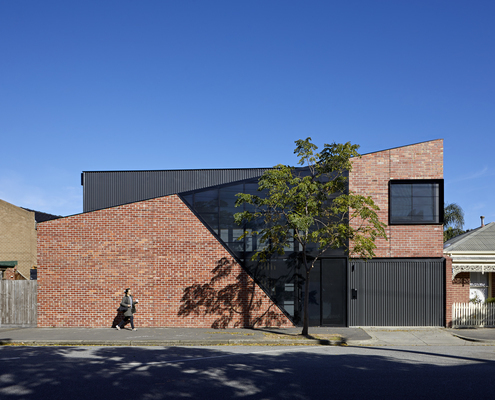 Brickface by Austin Maynard Architects The Newest House on the Street Looks Like It Could Be the Oldest Thanks to recycled brick, this new studio looks like it could be the oldest building in this Richmond laneway. 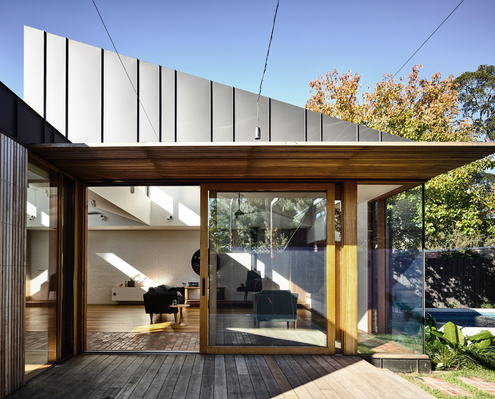 Port Melbourne House by Finnis Architects Former Milkbar Now a Light-filled Family Home Among the Treetops Floating above the original milkbar is a recently renovated pavilion which makes this unique family home feel like it's a treehouse. 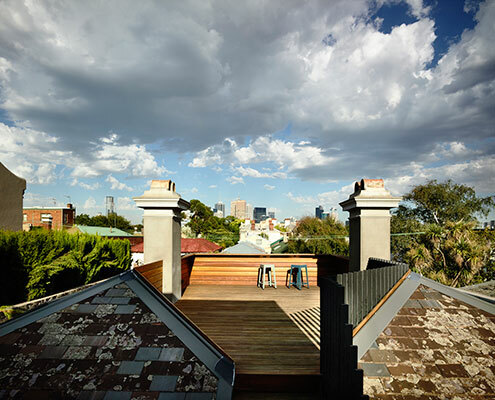 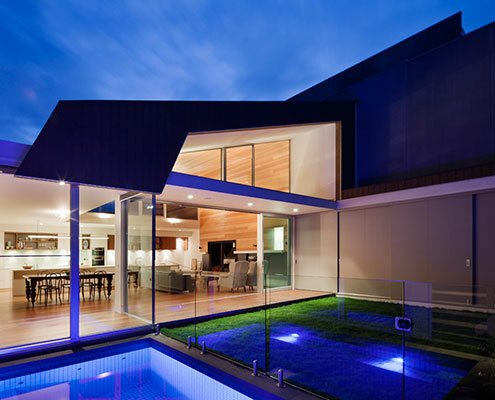 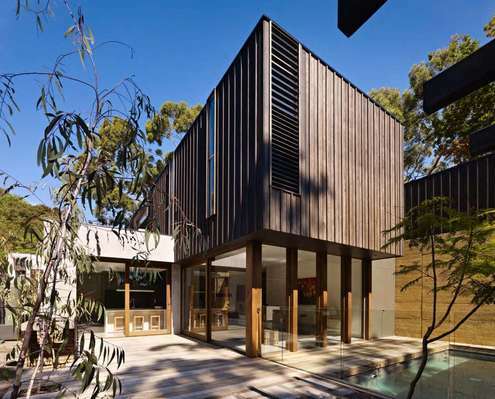 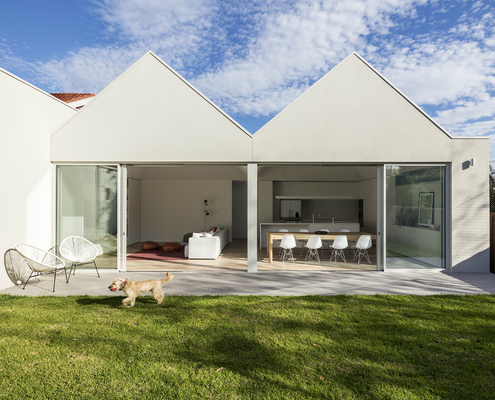 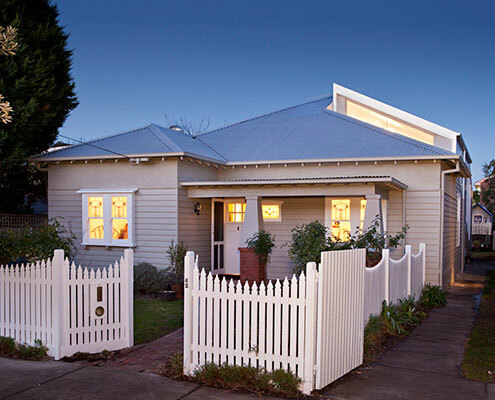 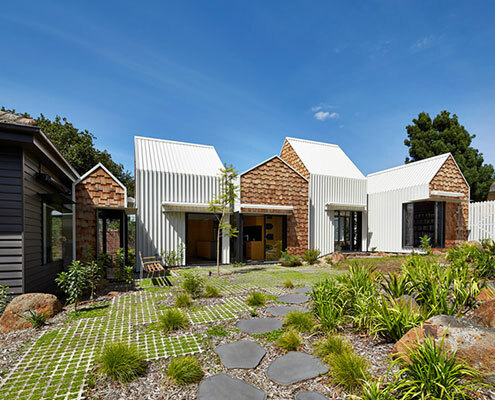 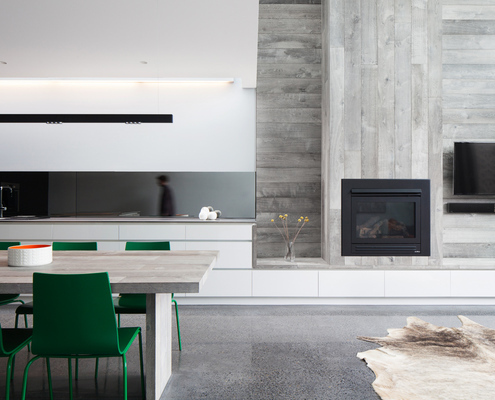 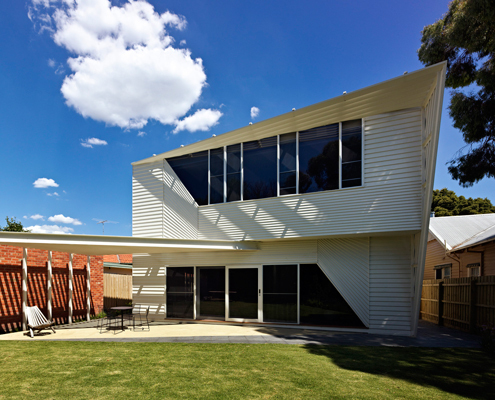 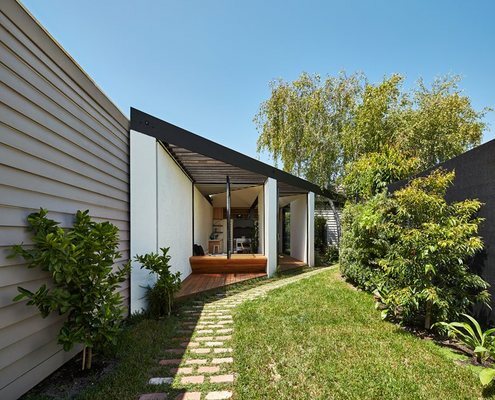 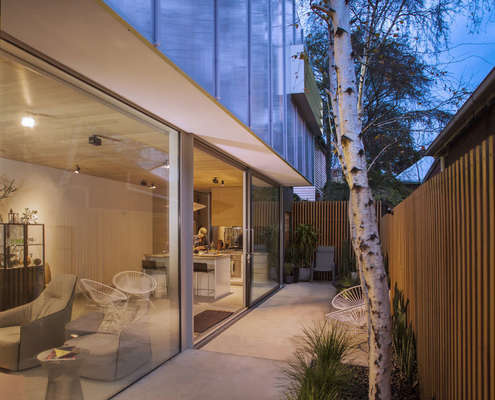 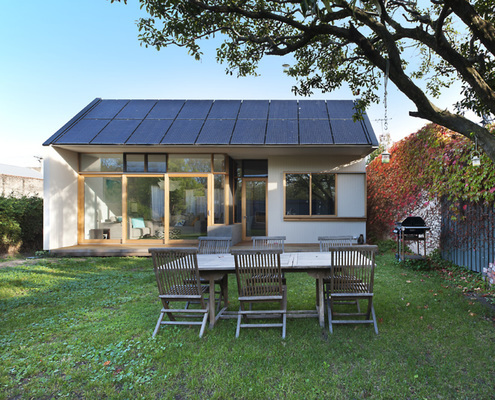 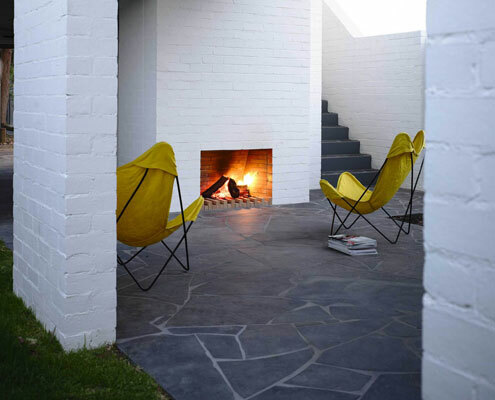 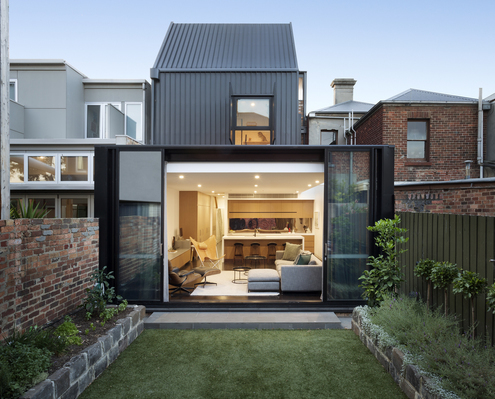 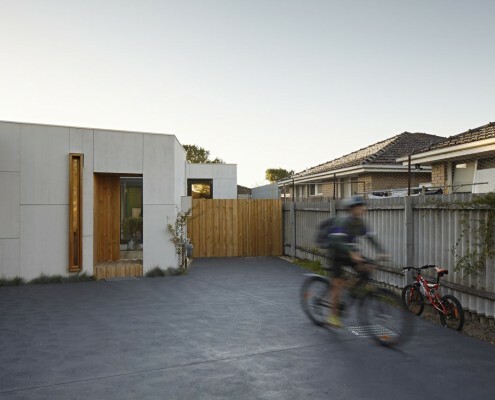 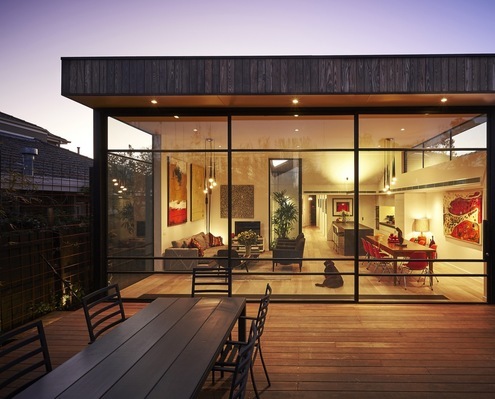 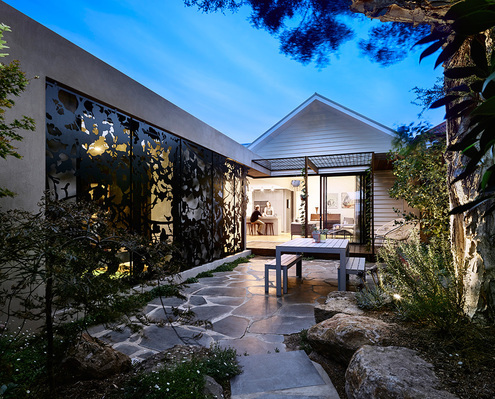 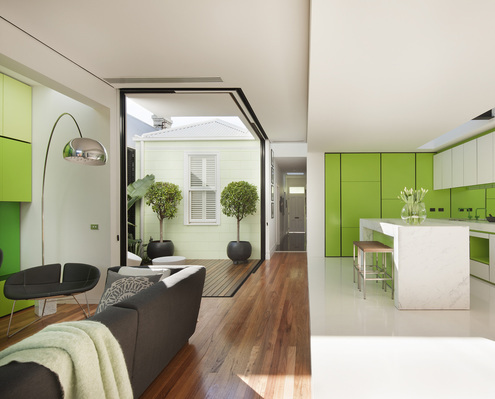 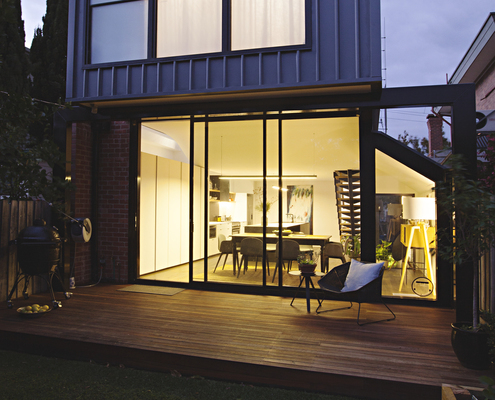 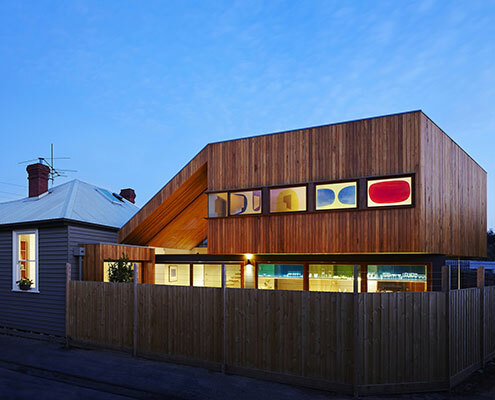 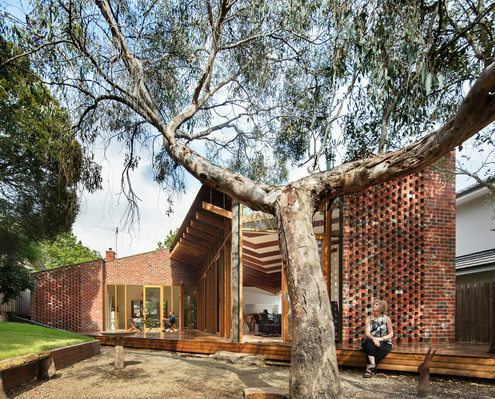 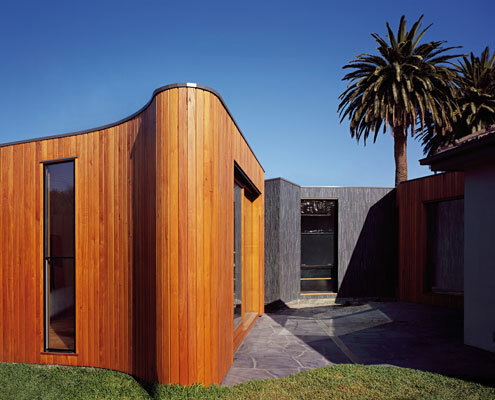 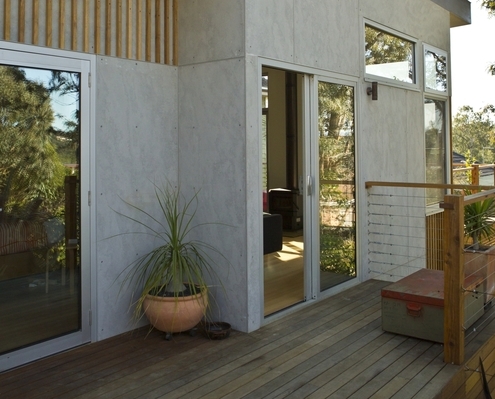 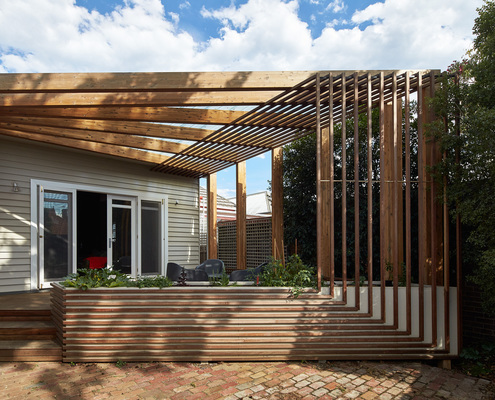 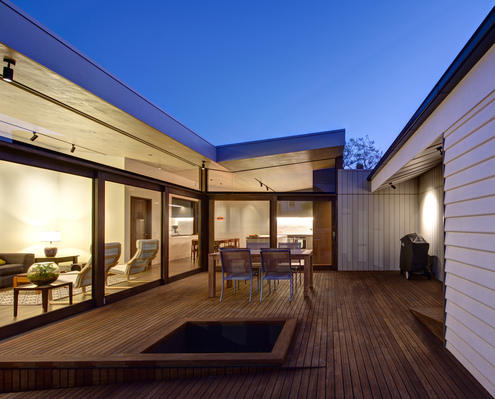 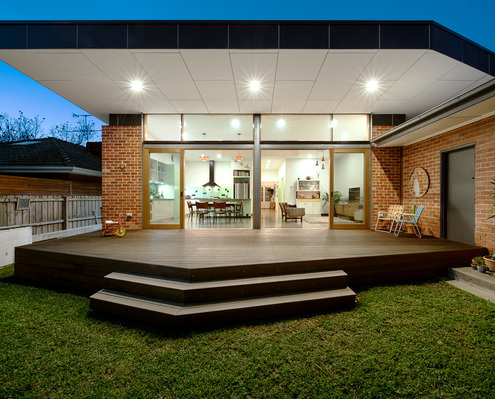 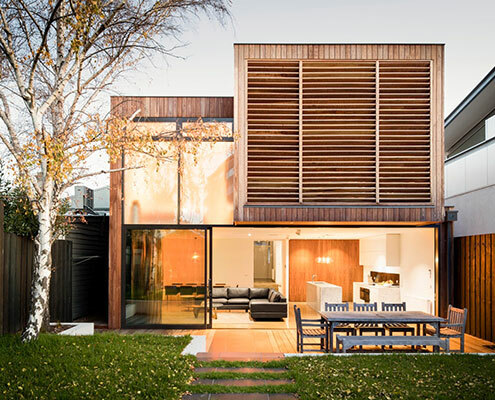 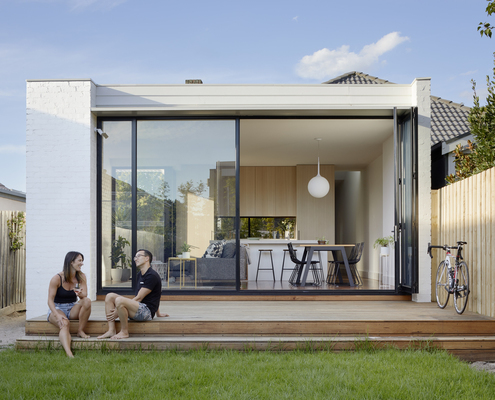 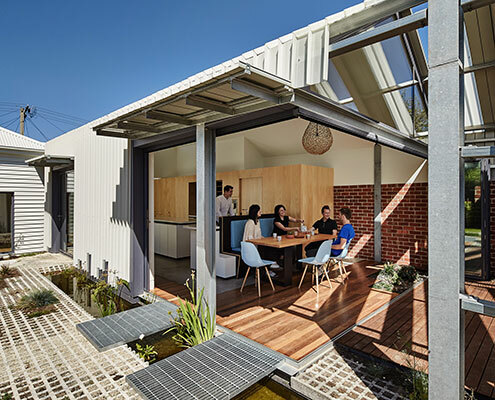 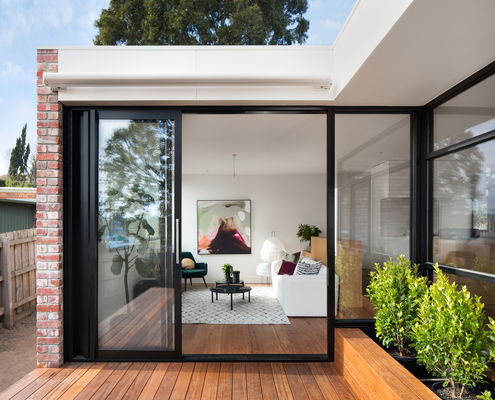 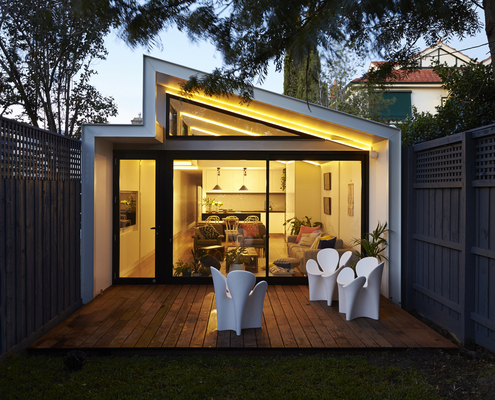 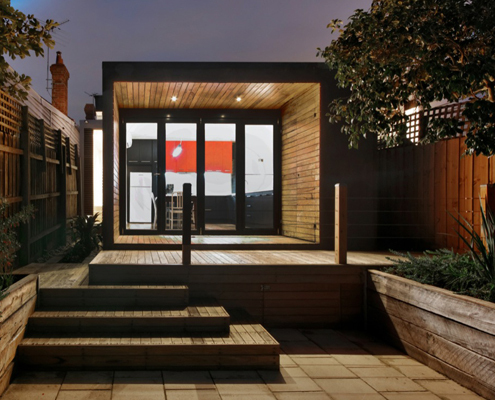 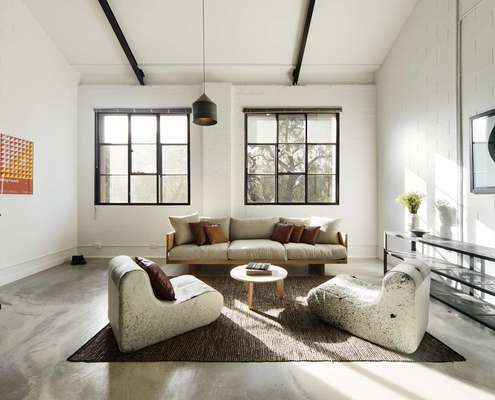 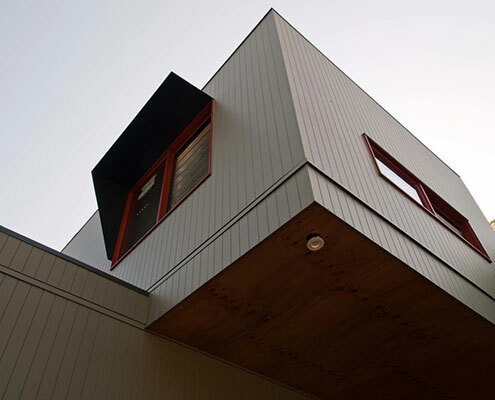 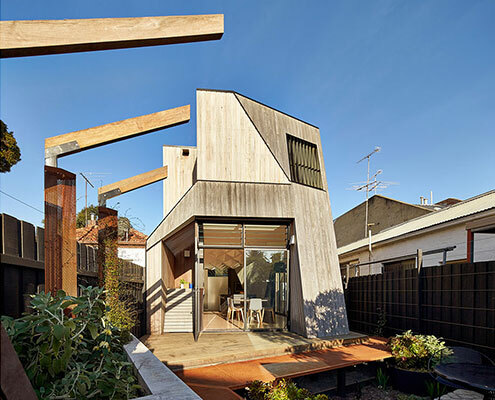 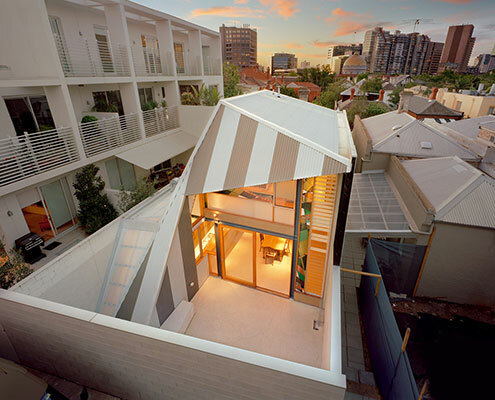 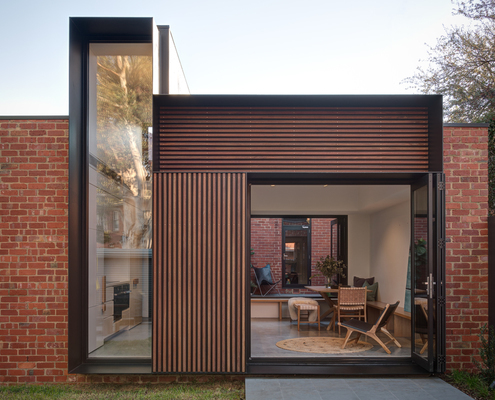 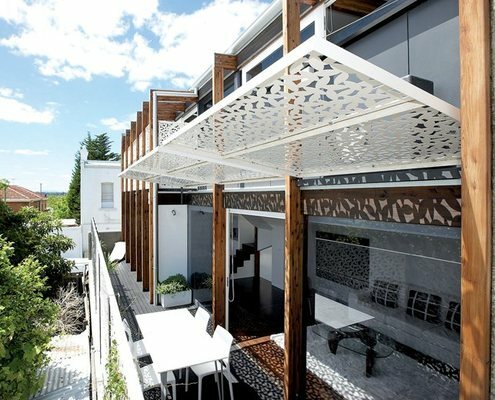 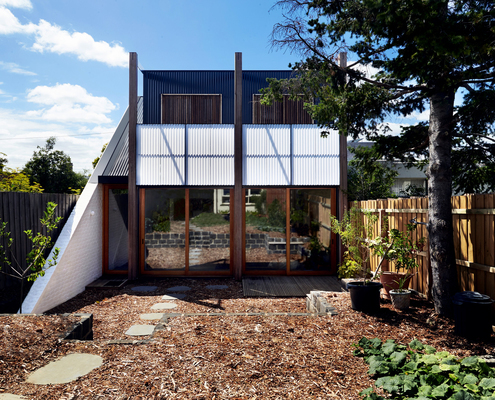 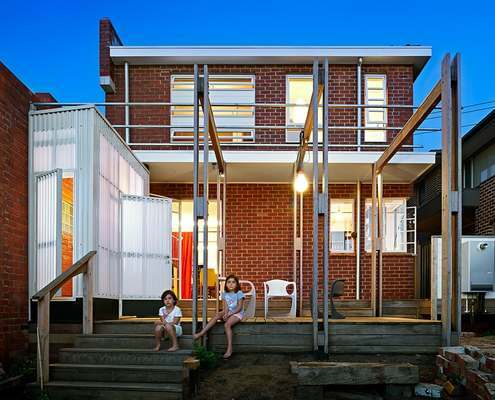 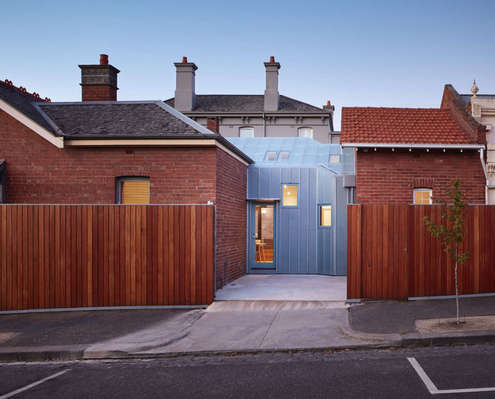 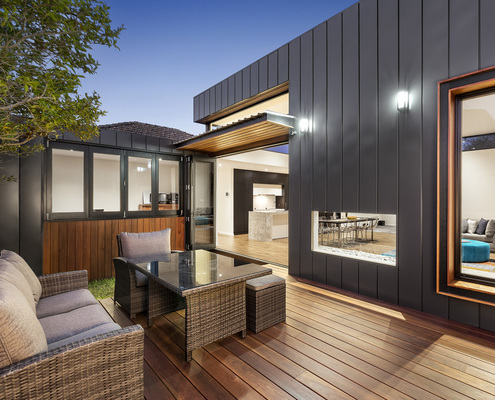 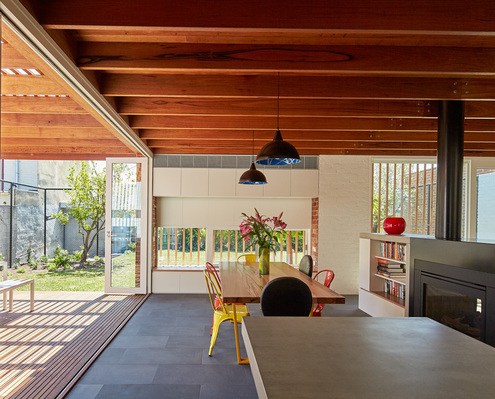 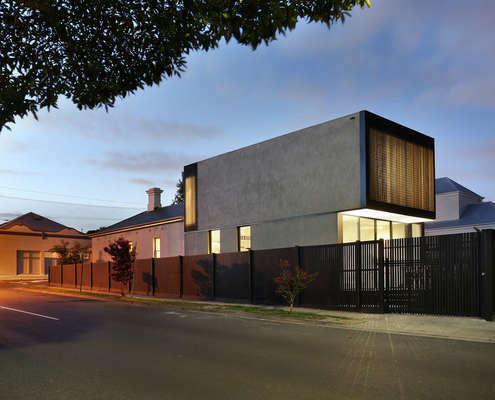 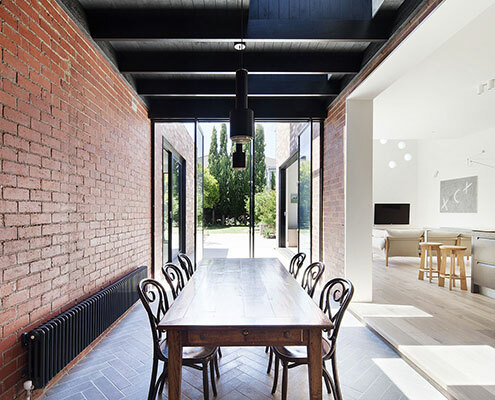 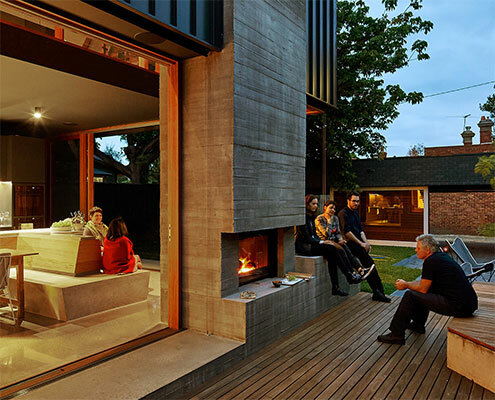 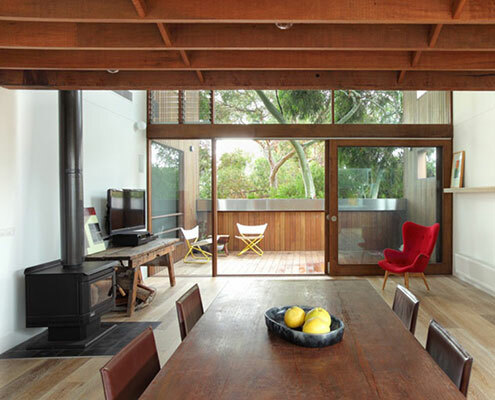 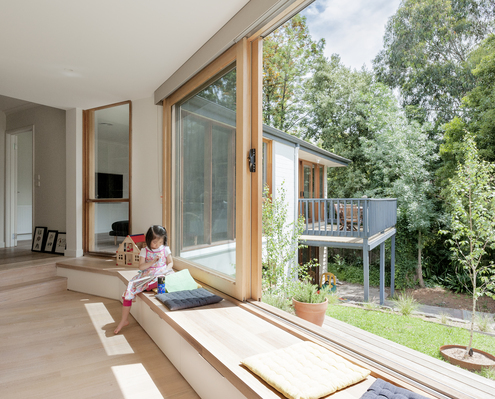 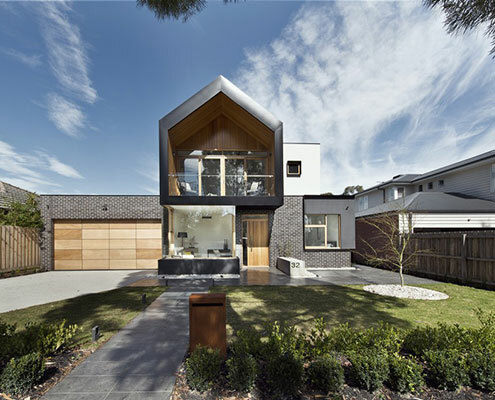 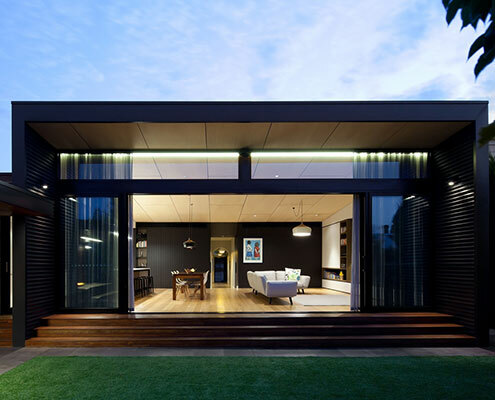 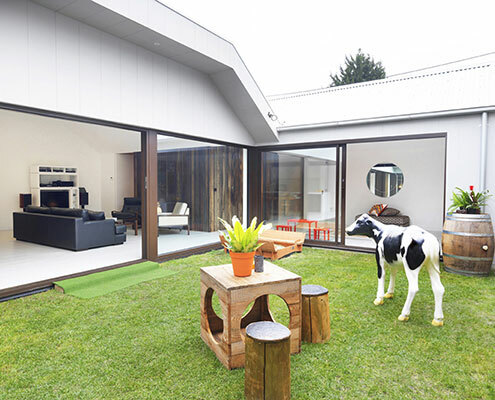 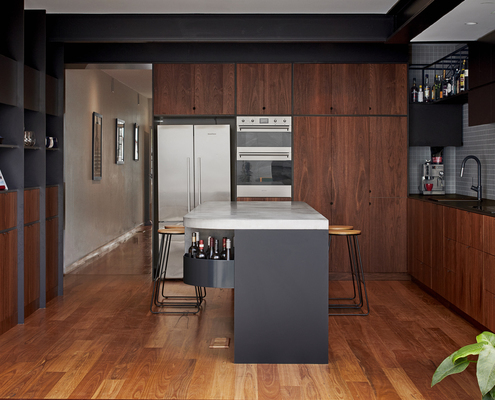 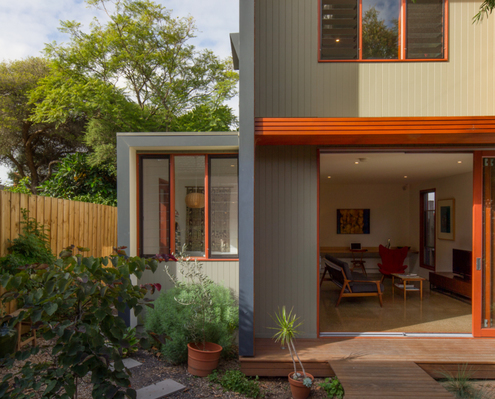 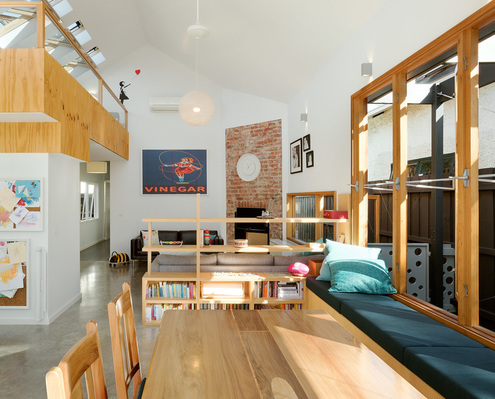 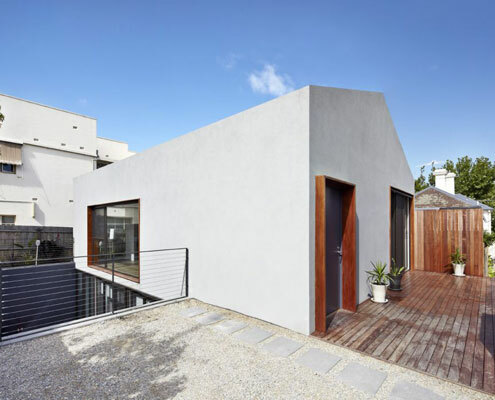 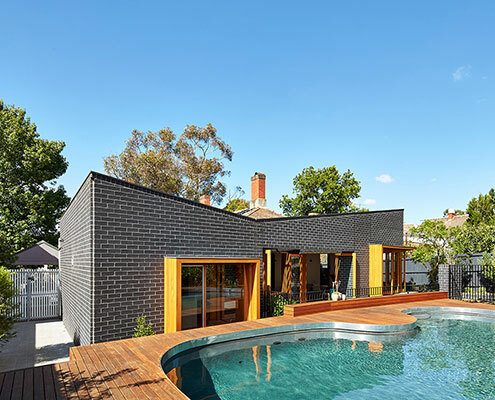 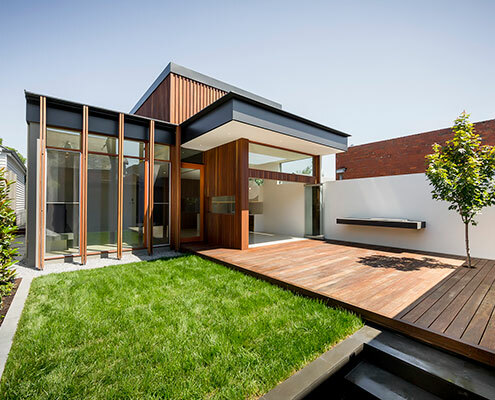 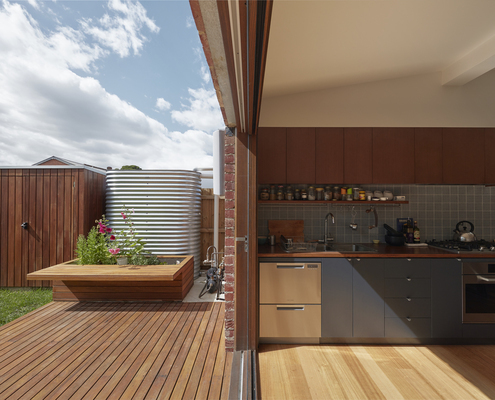 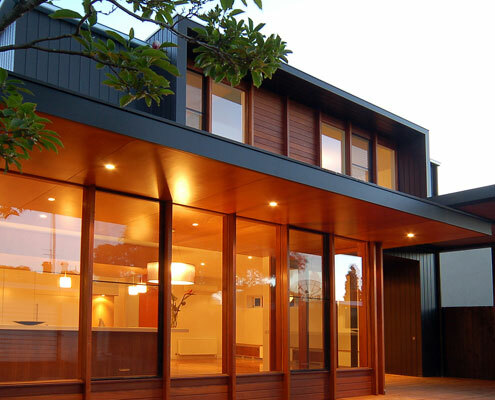 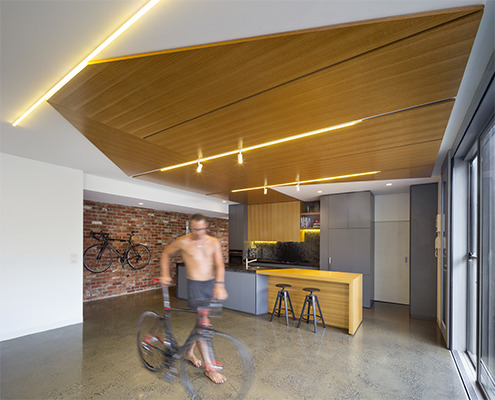 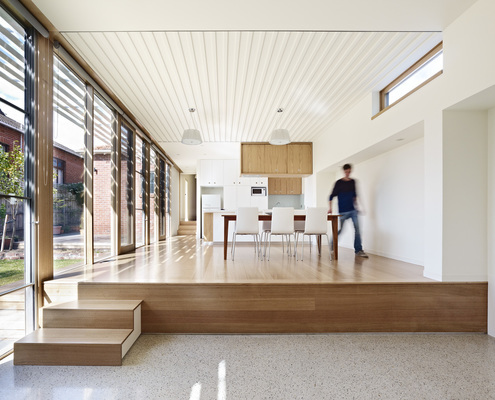 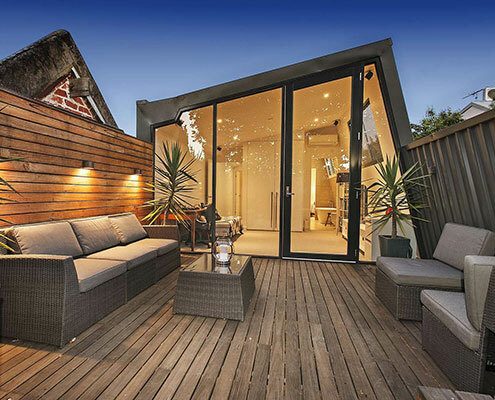 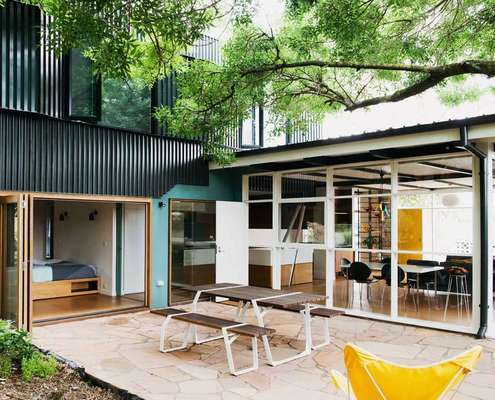 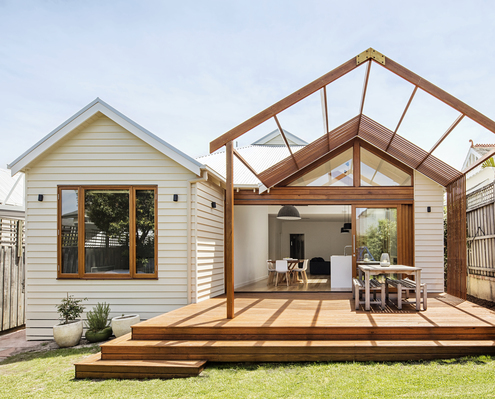 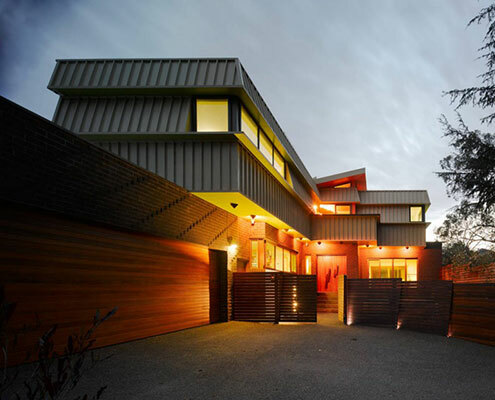 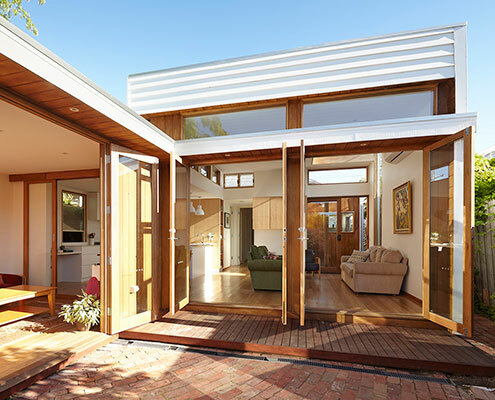 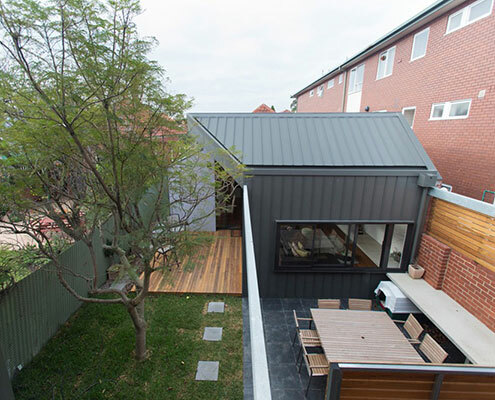 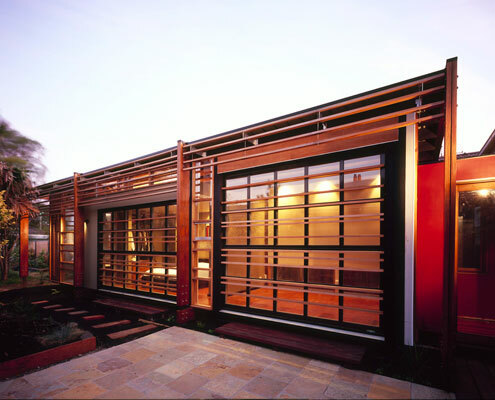 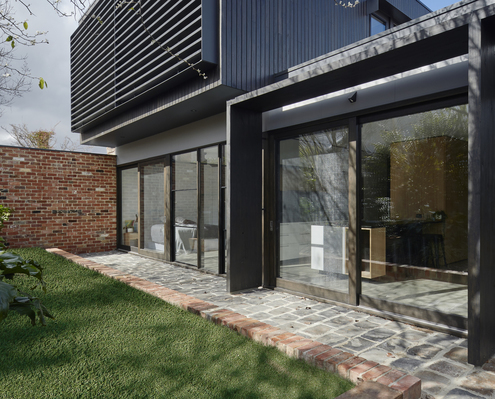 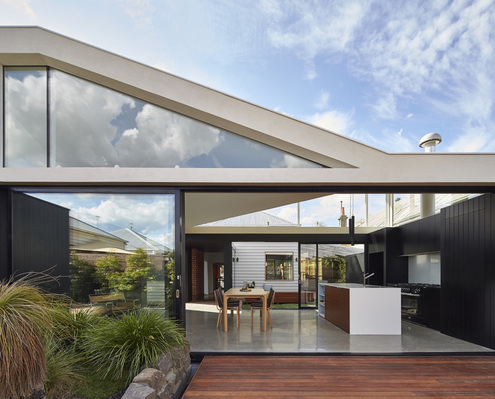 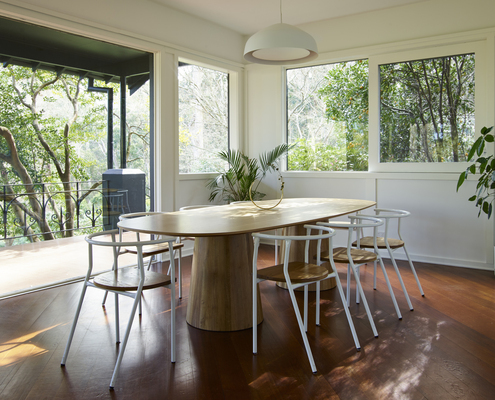 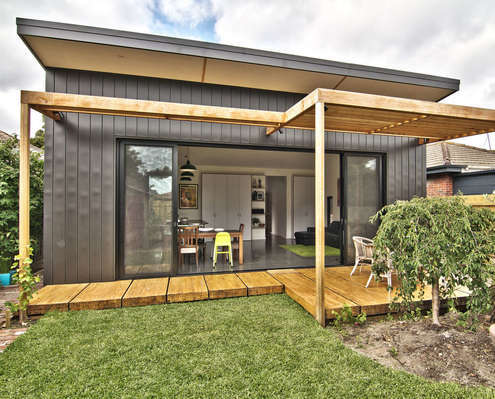 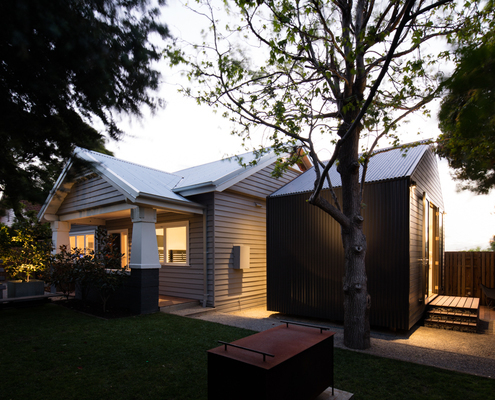 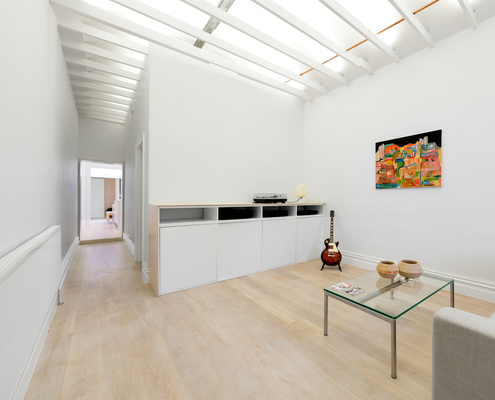 Ivanhoe Extension by Modscape Could You Live at Home While Your Extension is Being Built? 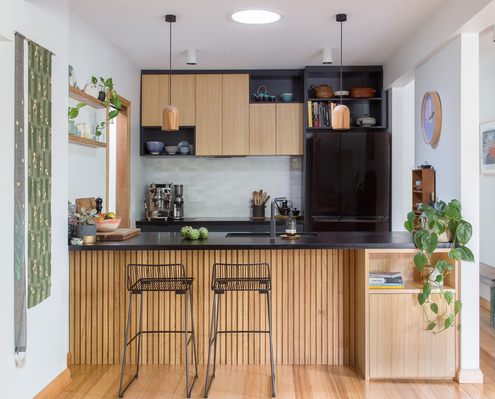 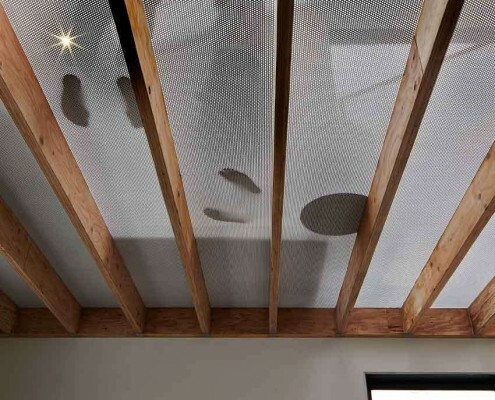 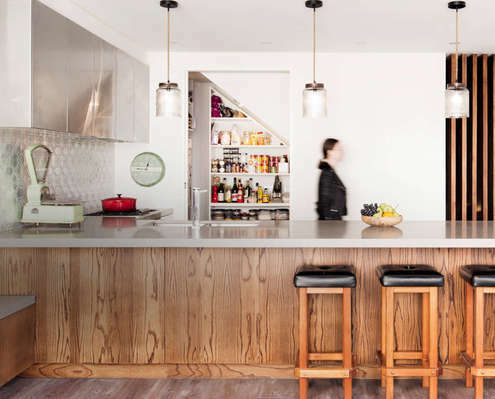 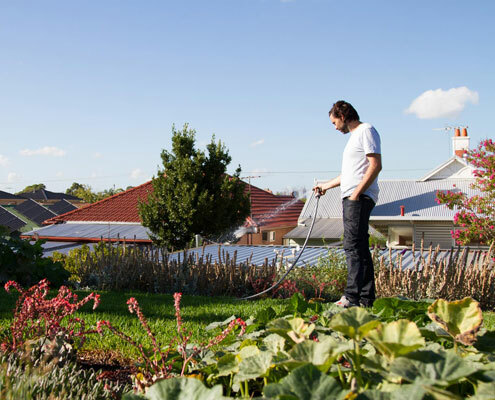 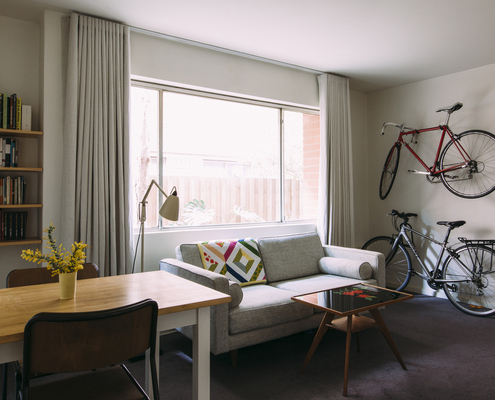 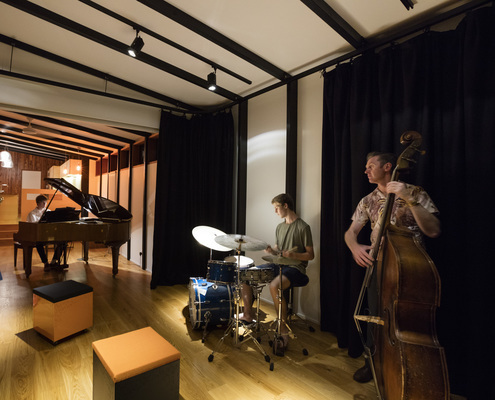 Living at home while your extension is built sounds like a nightmare, but this clever idea allowed the owners to live disruption-free. 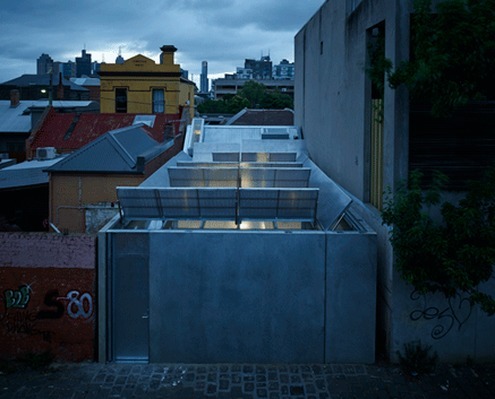 Project Nymph by Zen Architects What If Your Home Felt More Like Living in a Garden? 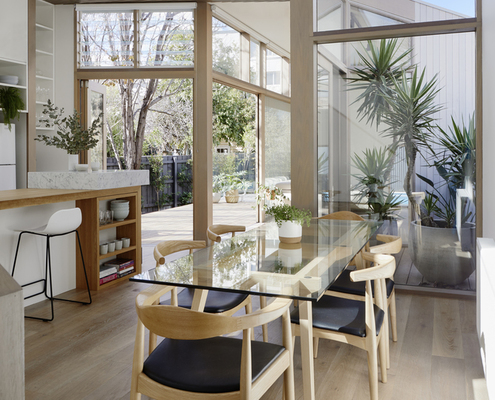 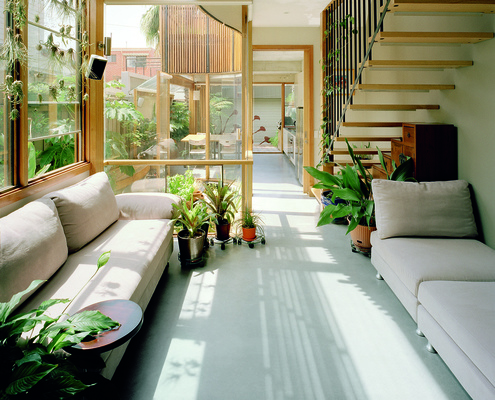 This home takes advantage of its location near the Botanic Gardens to create a living area which feels like an extension of the garden.